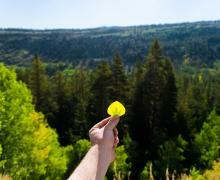 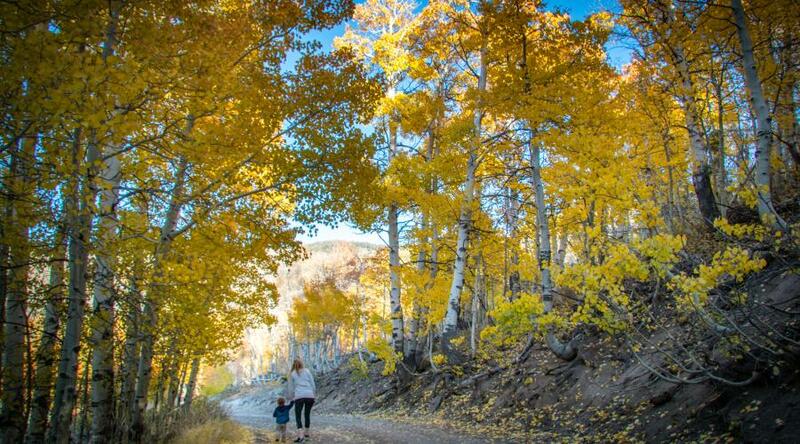 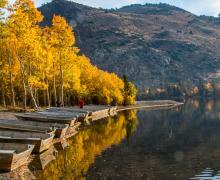 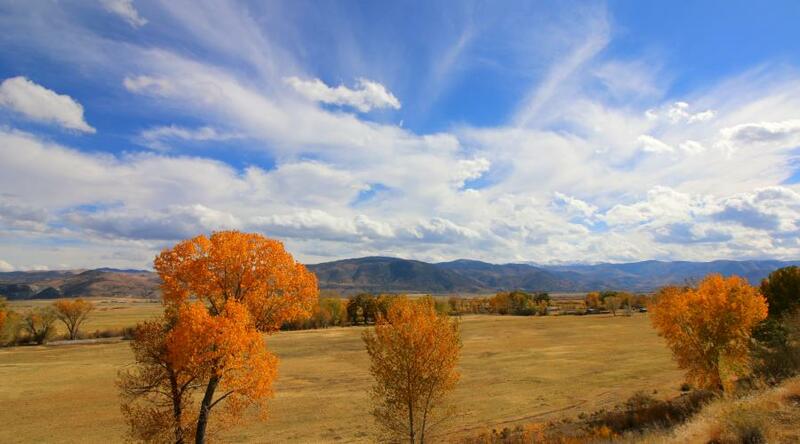 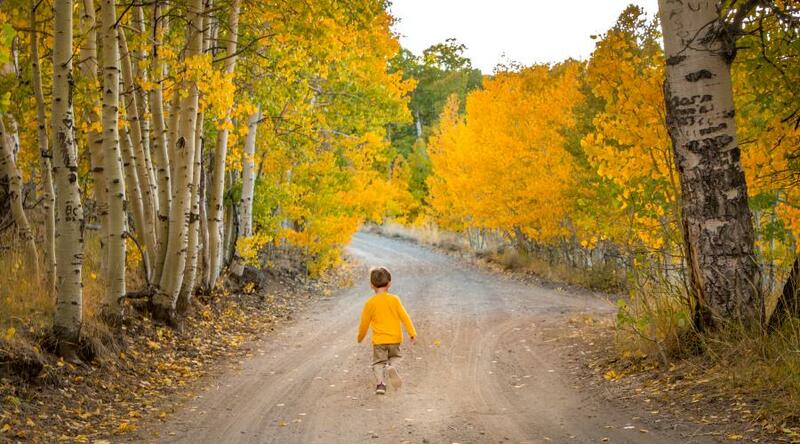 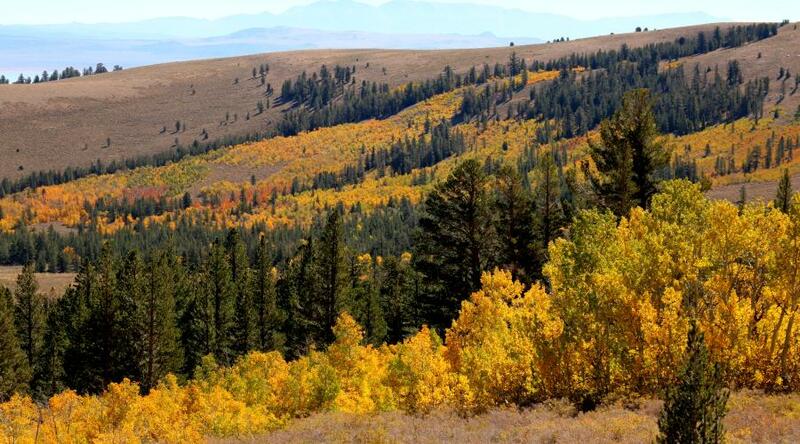 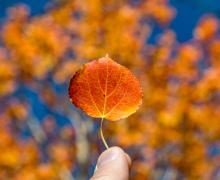 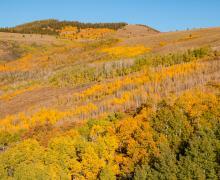 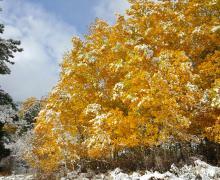 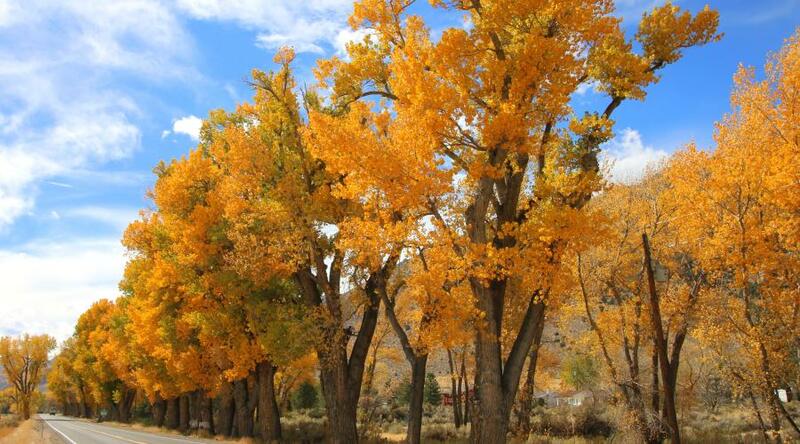 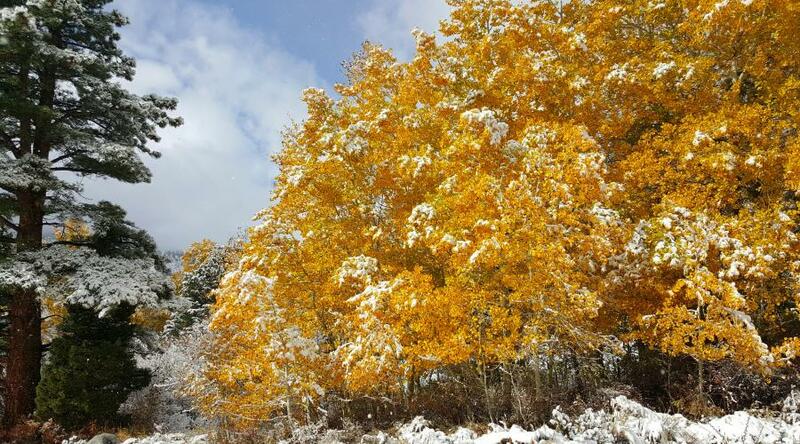 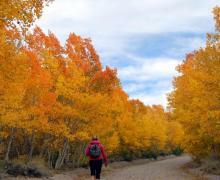 Visit one of America's Best Fall Foliage Forests! 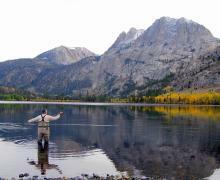 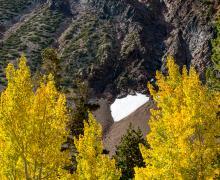 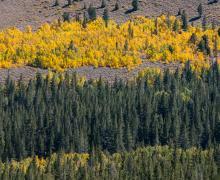 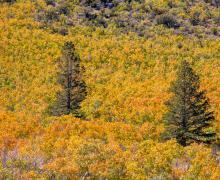 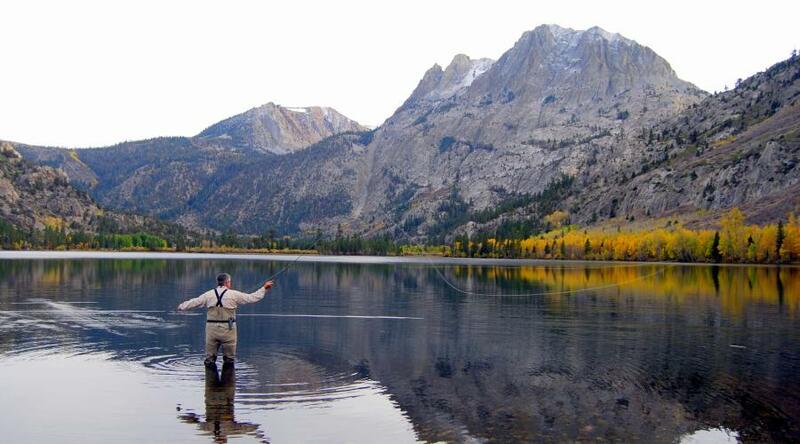 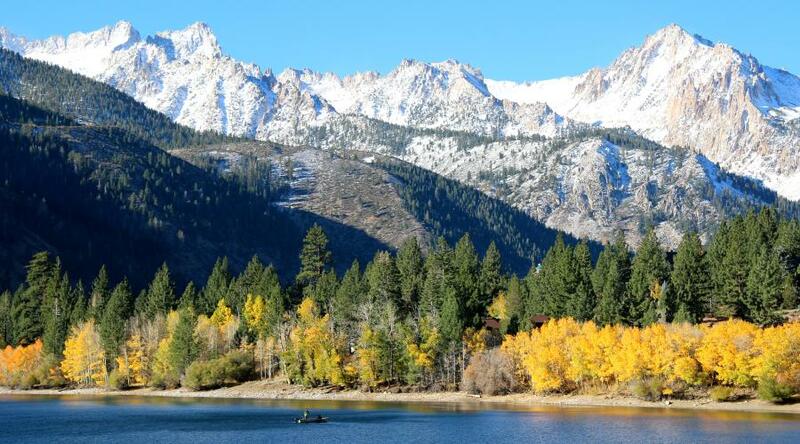 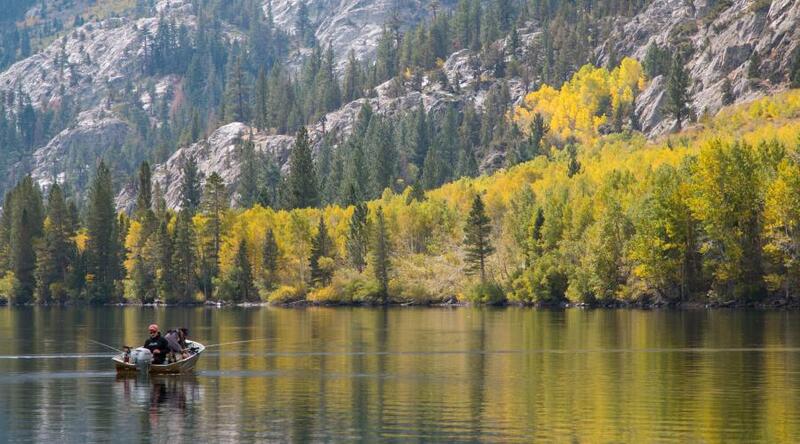 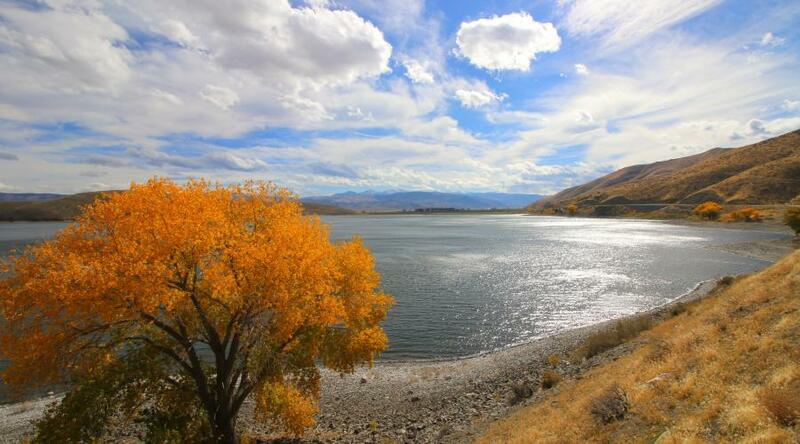 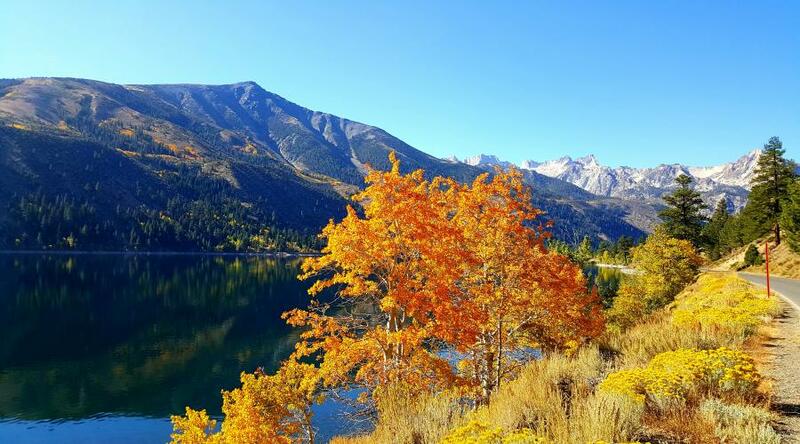 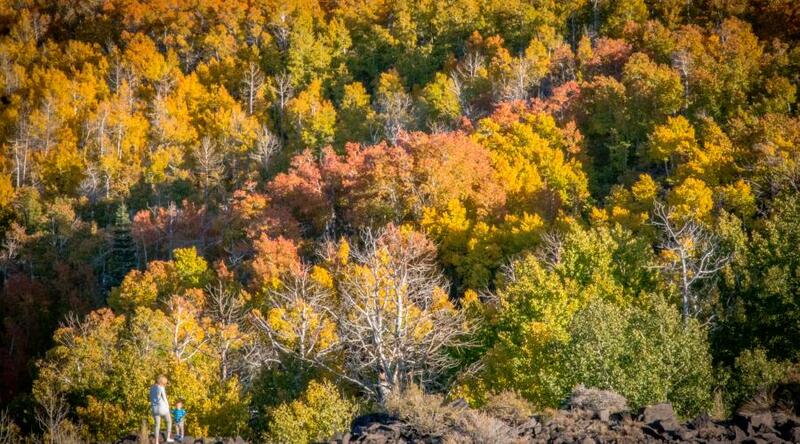 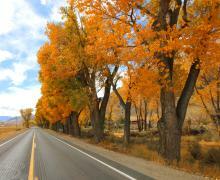 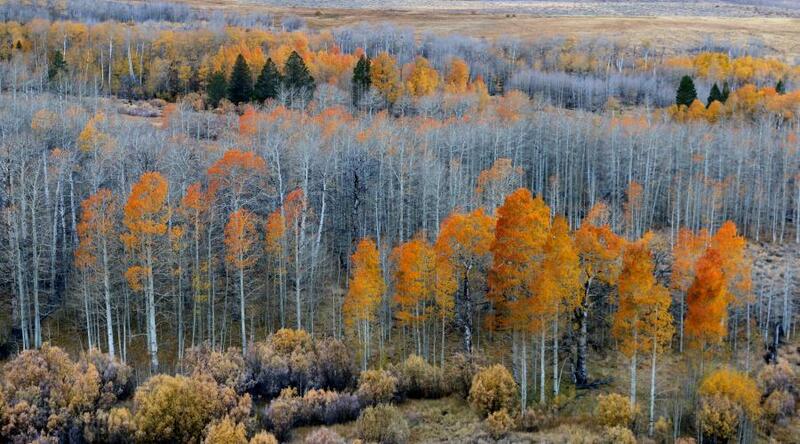 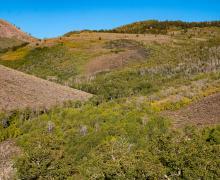 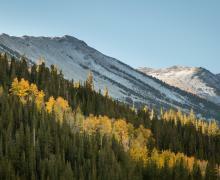 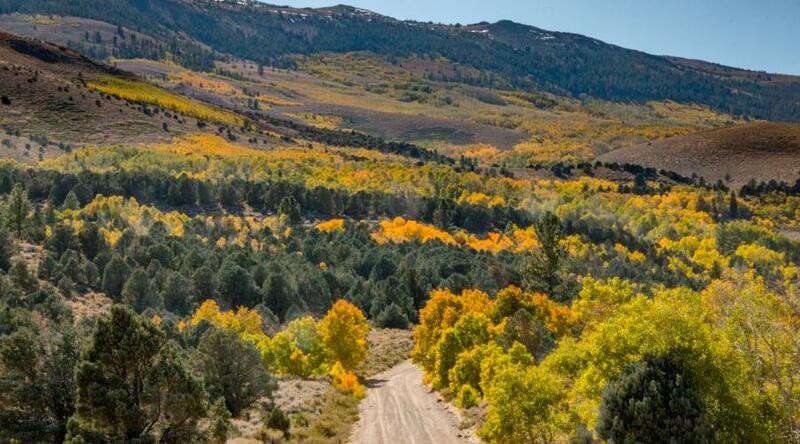 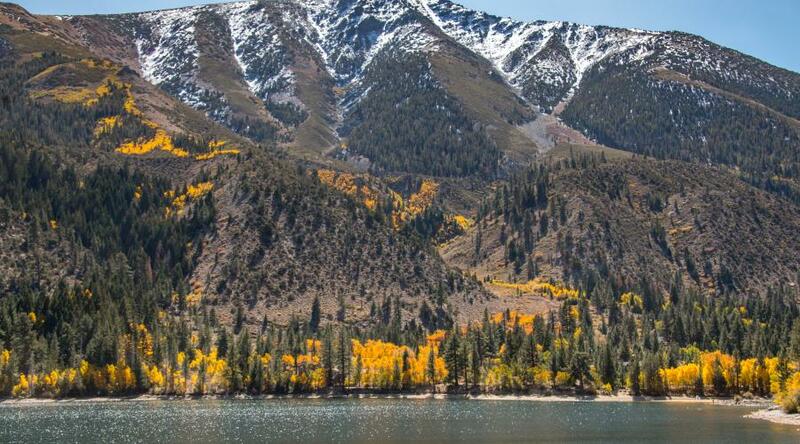 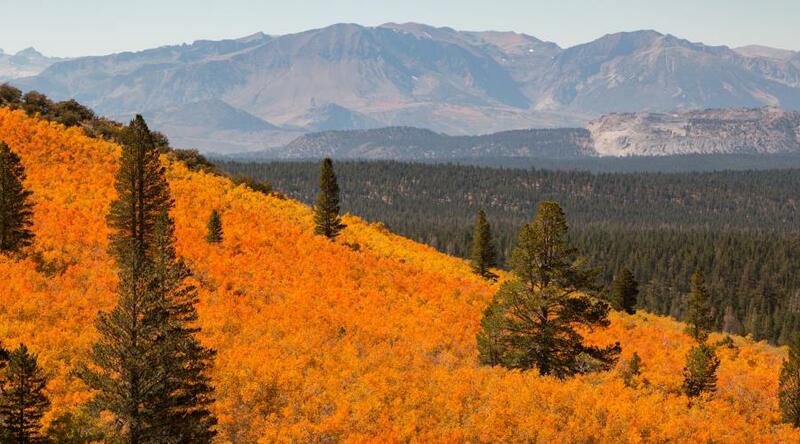 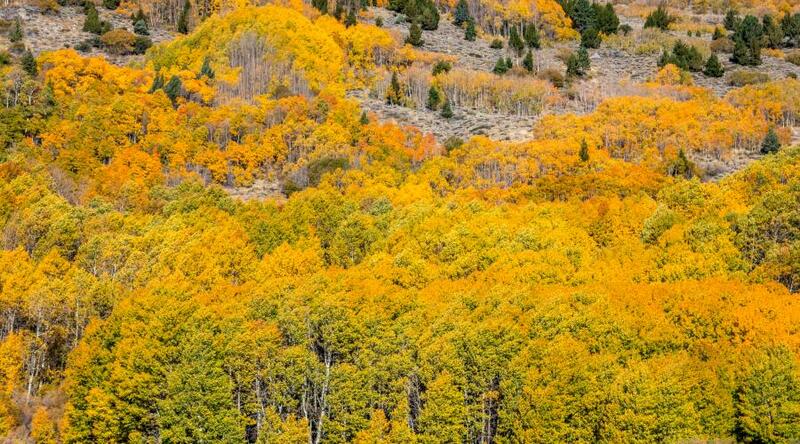 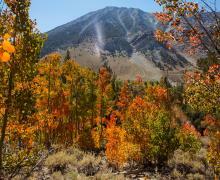 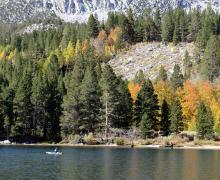 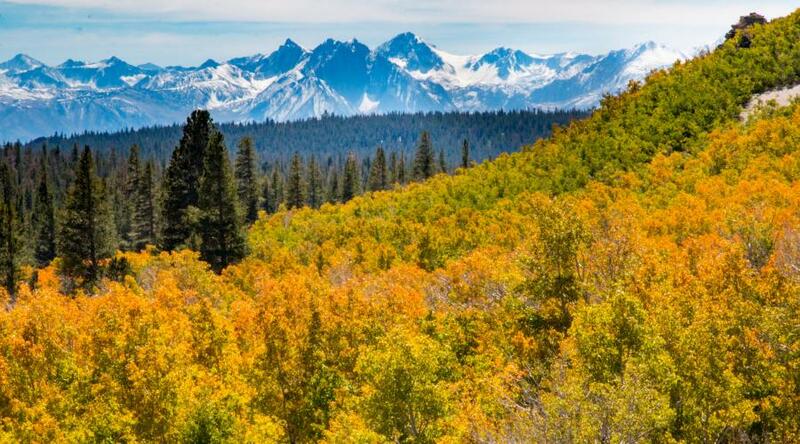 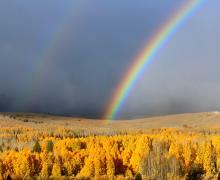 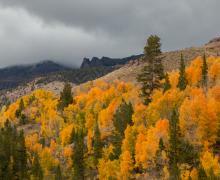 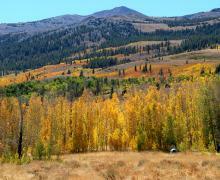 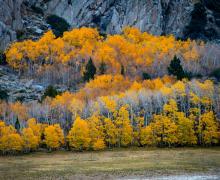 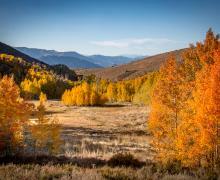 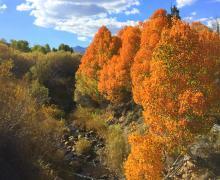 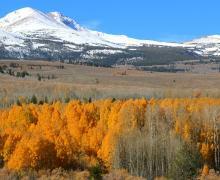 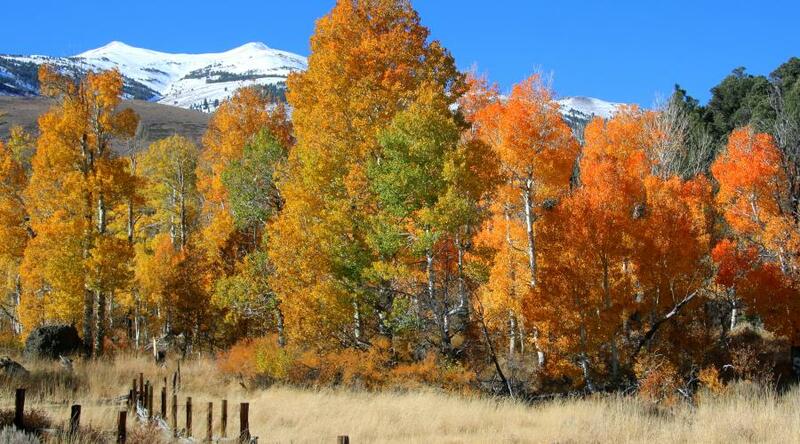 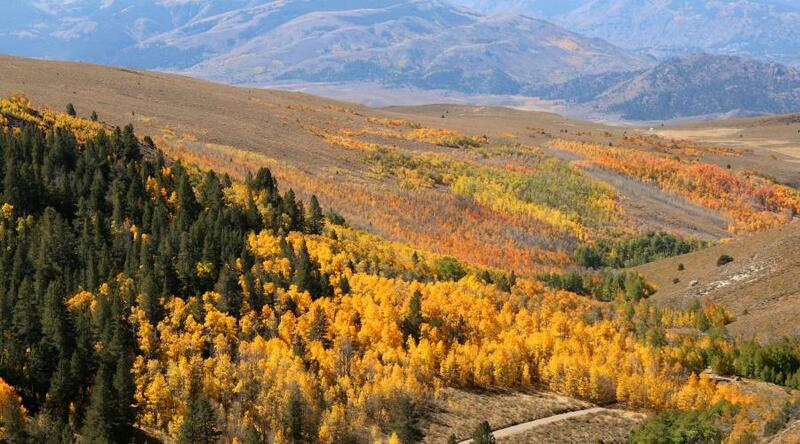 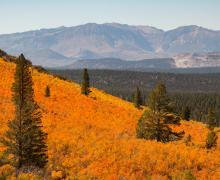 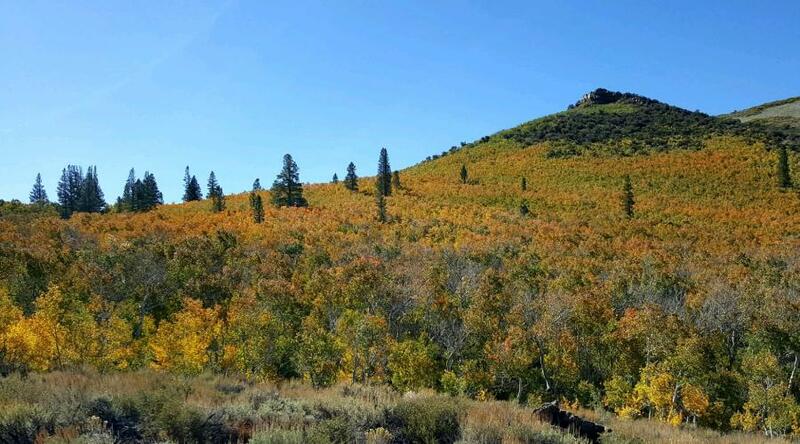 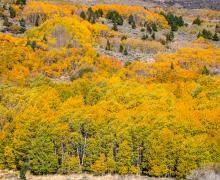 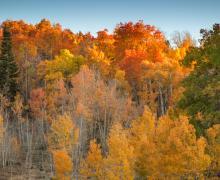 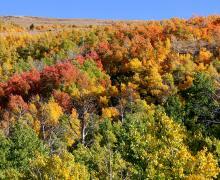 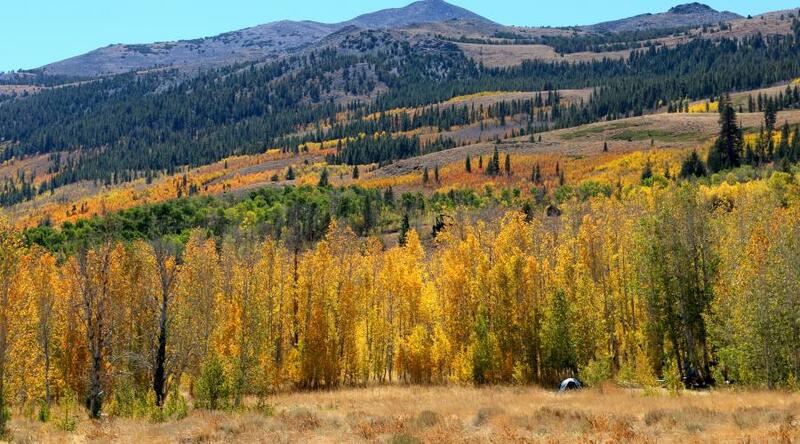 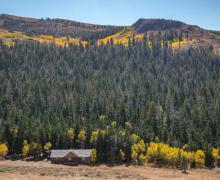 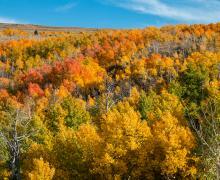 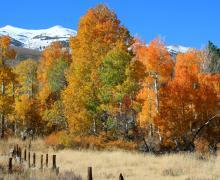 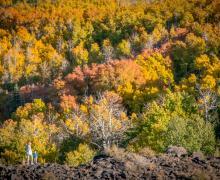 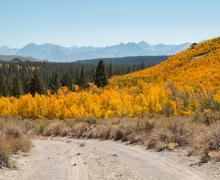 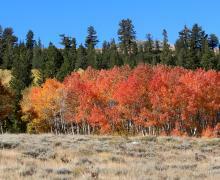 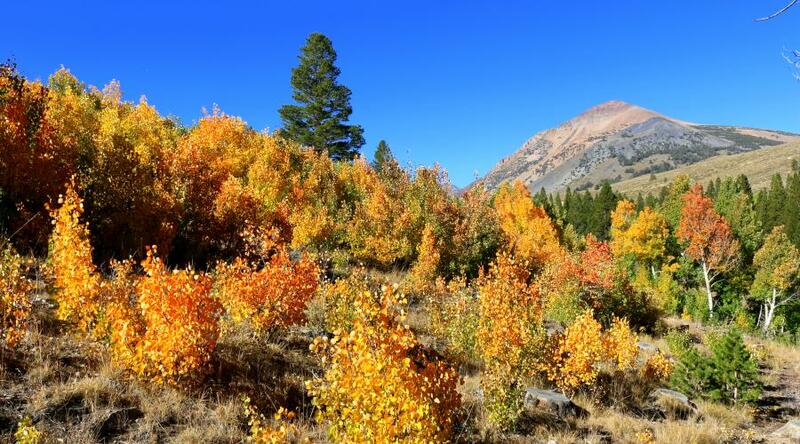 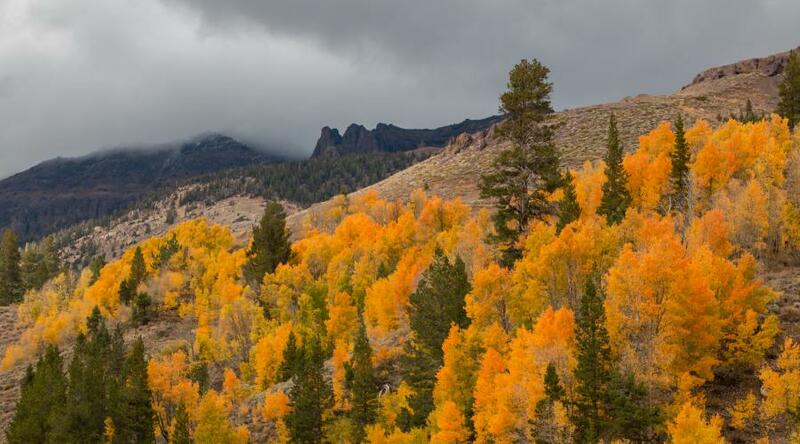 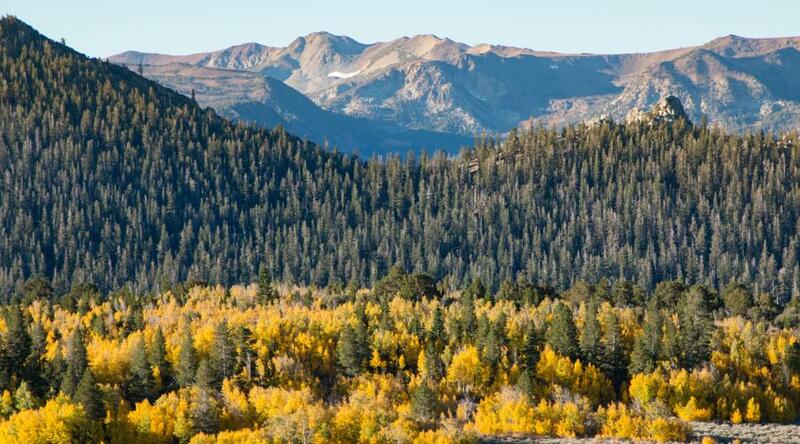 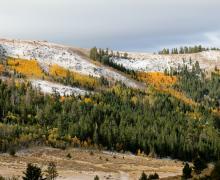 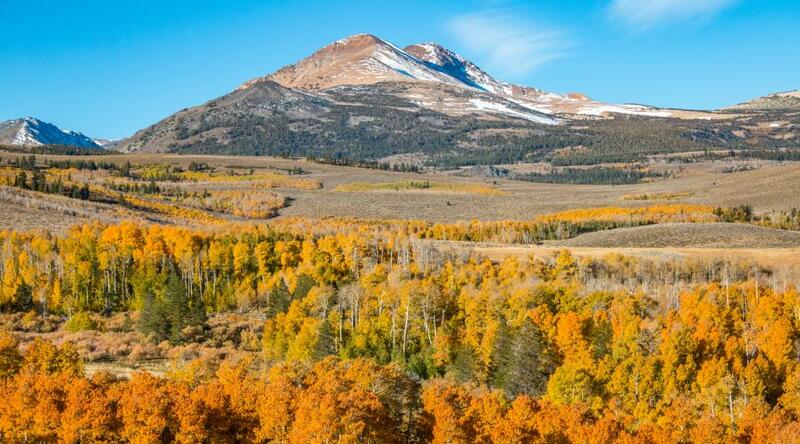 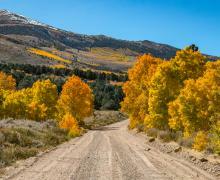 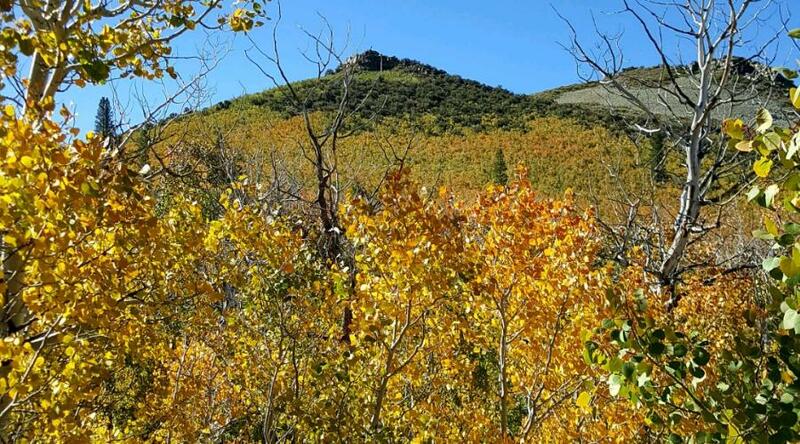 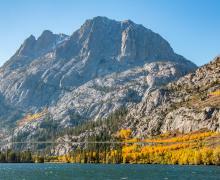 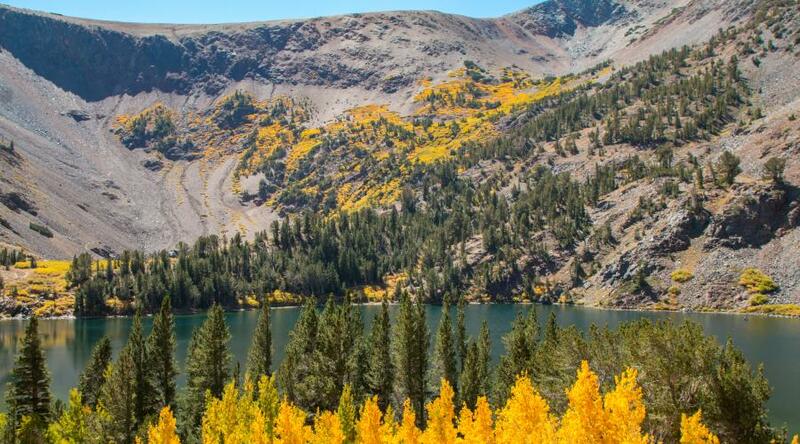 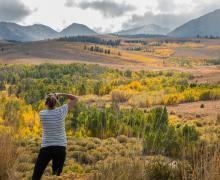 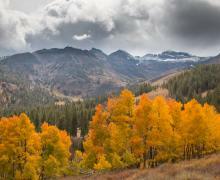 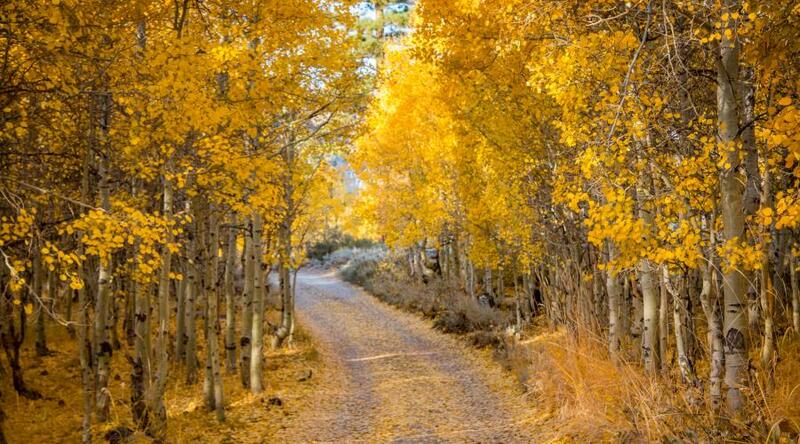 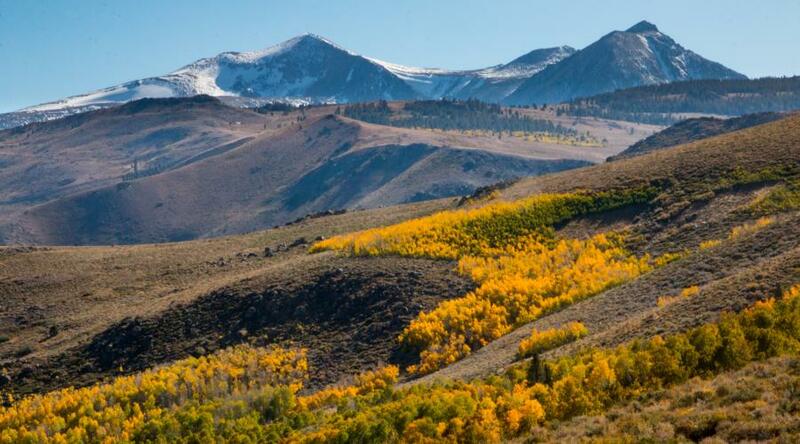 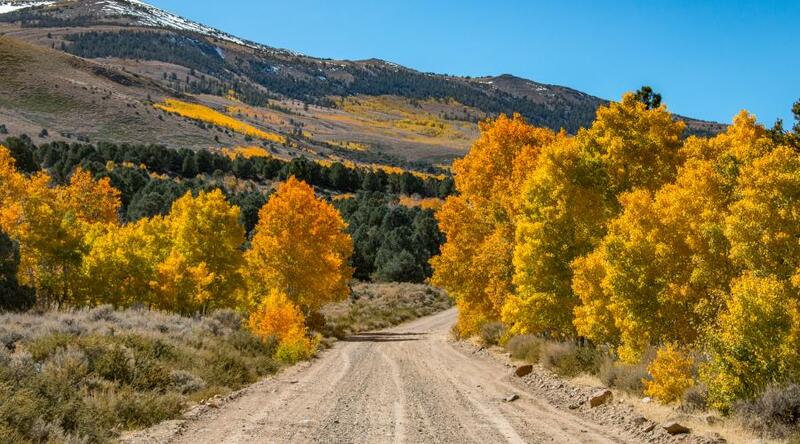 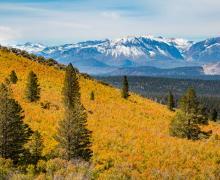 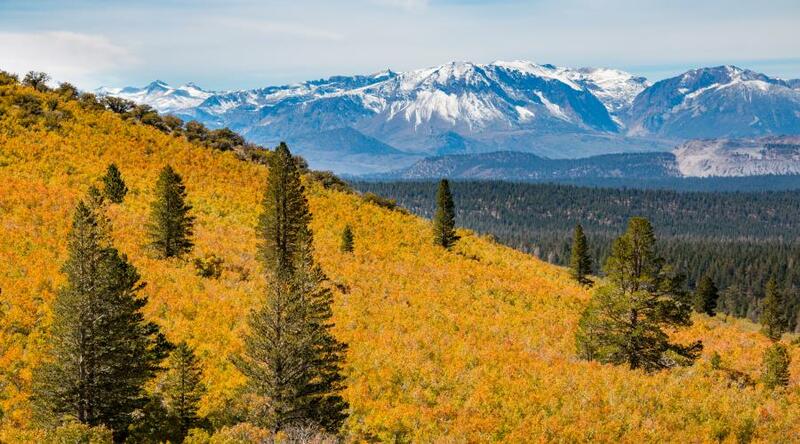 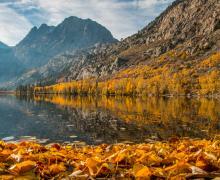 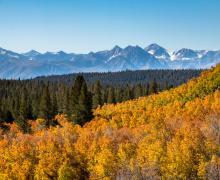 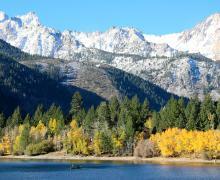 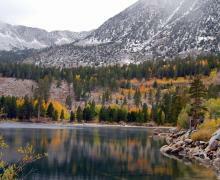 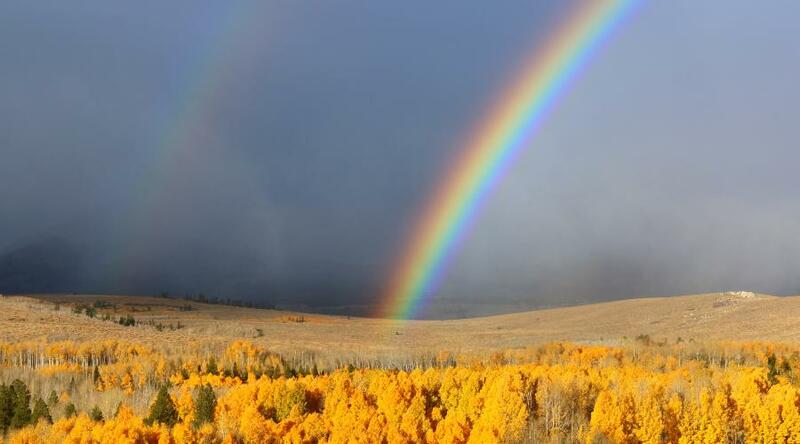 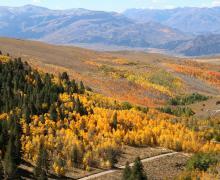 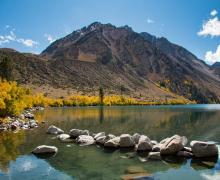 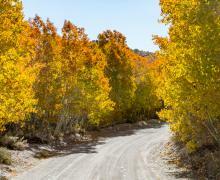 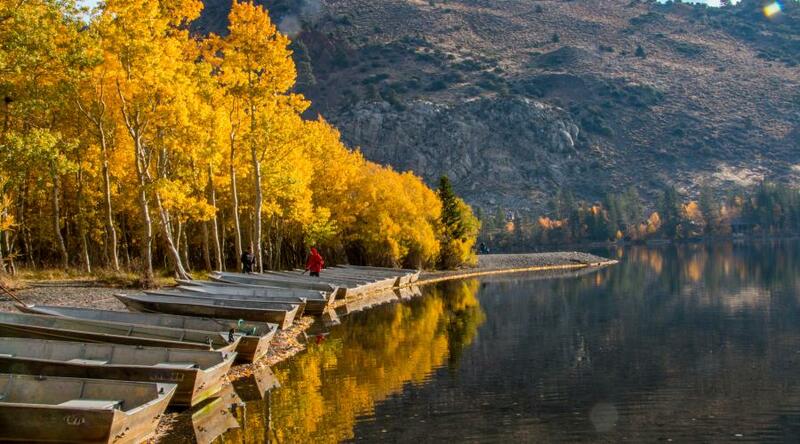 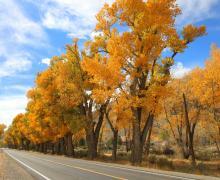 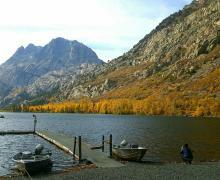 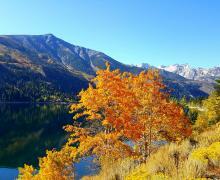 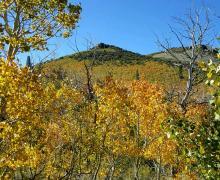 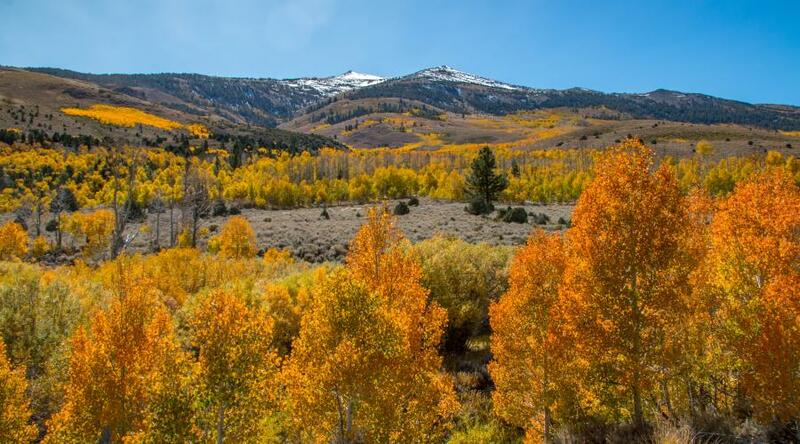 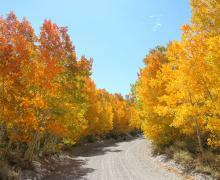 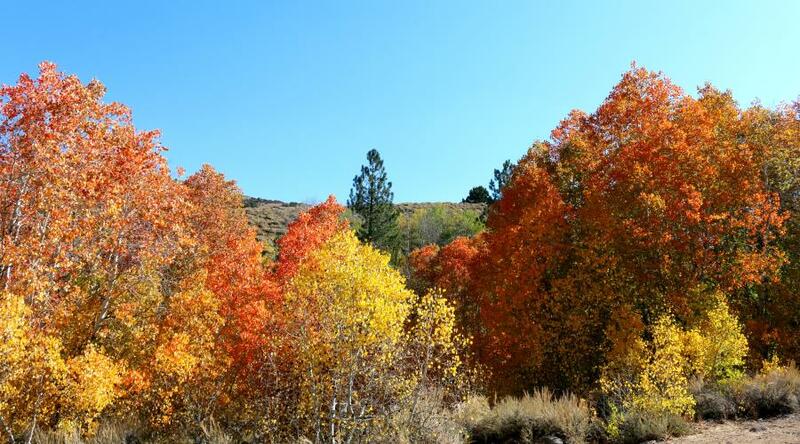 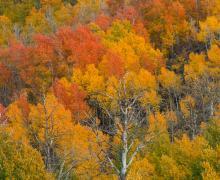 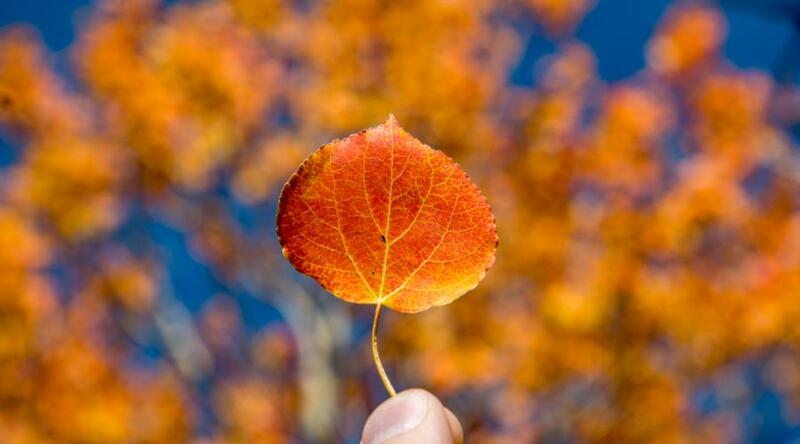 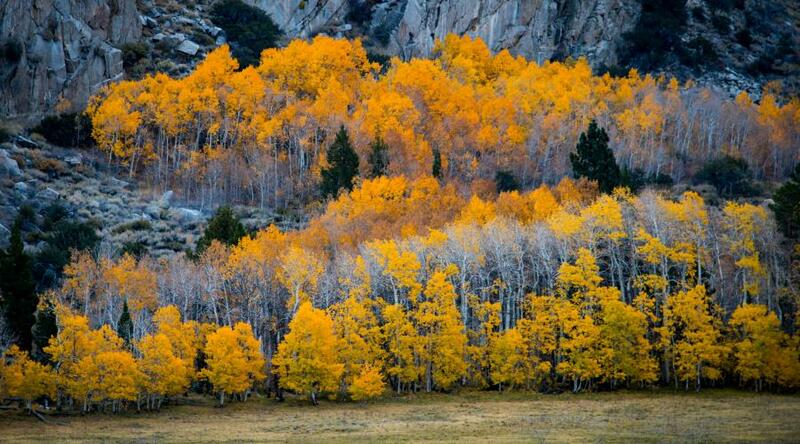 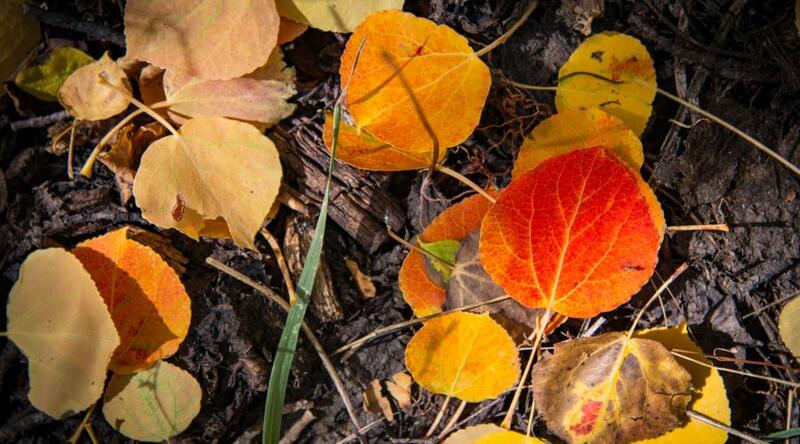 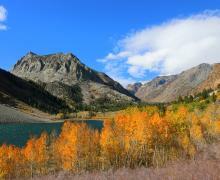 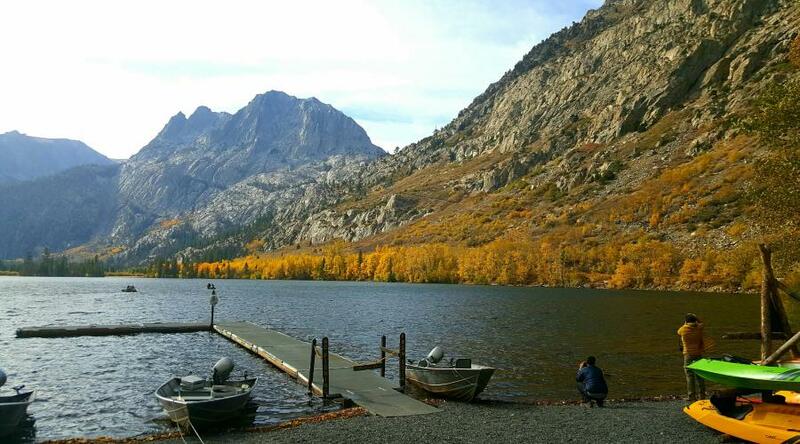 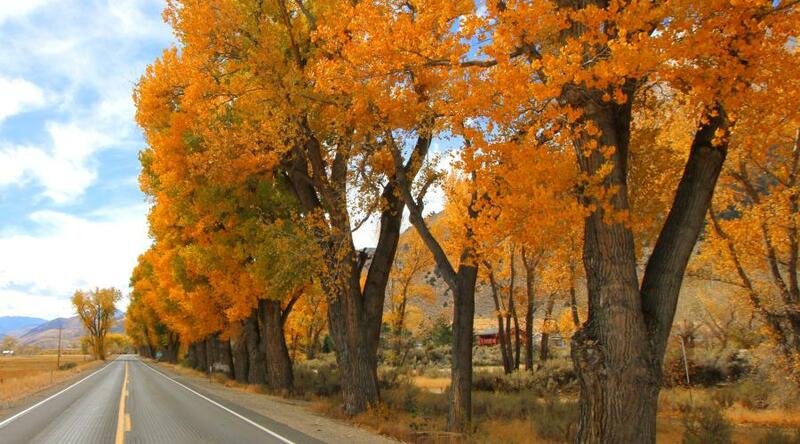 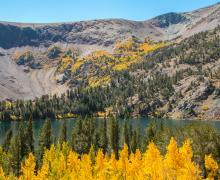 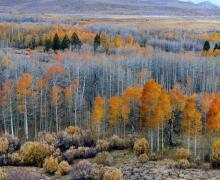 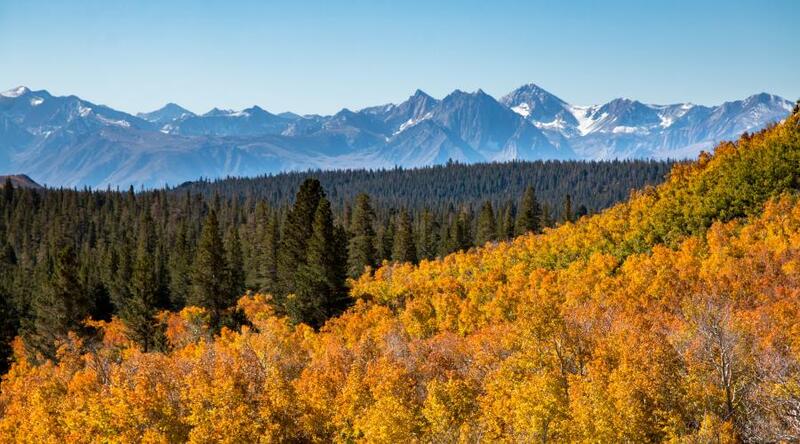 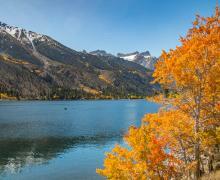 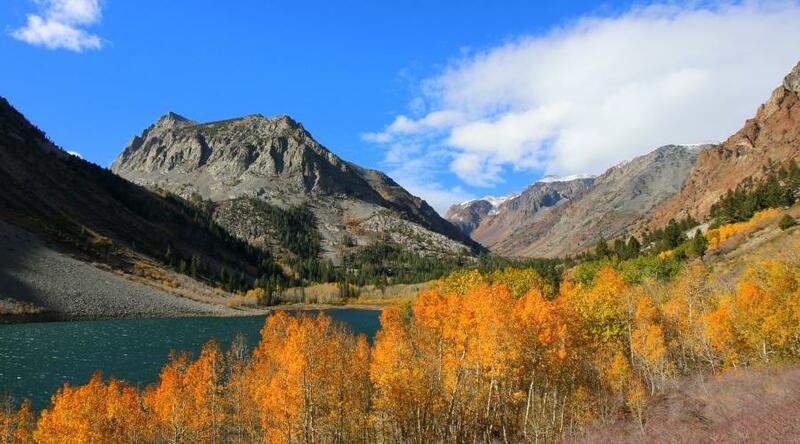 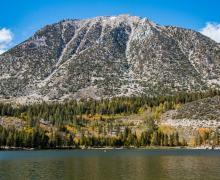 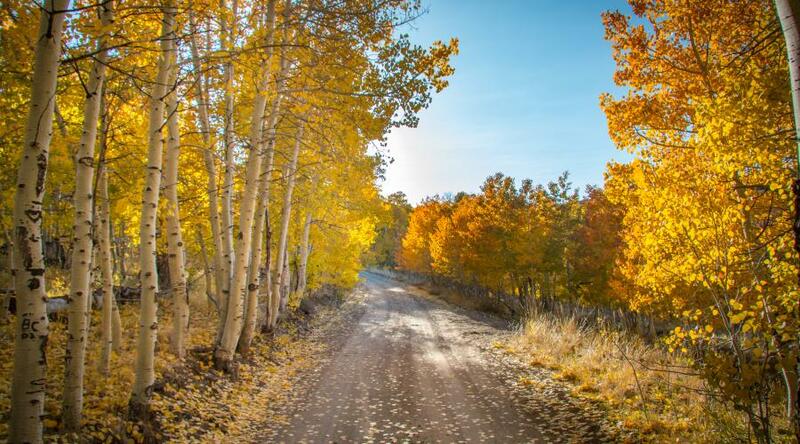 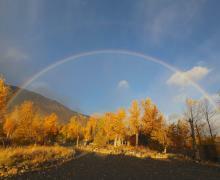 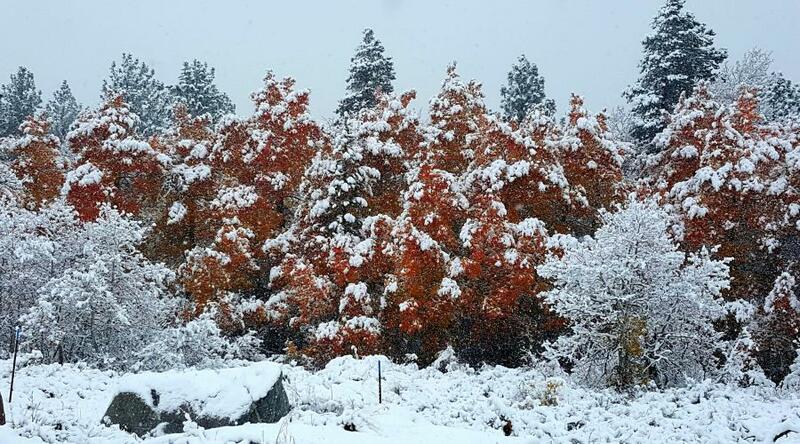 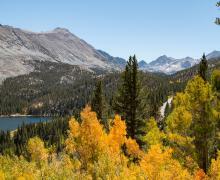 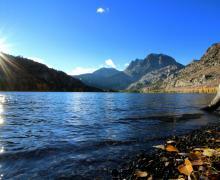 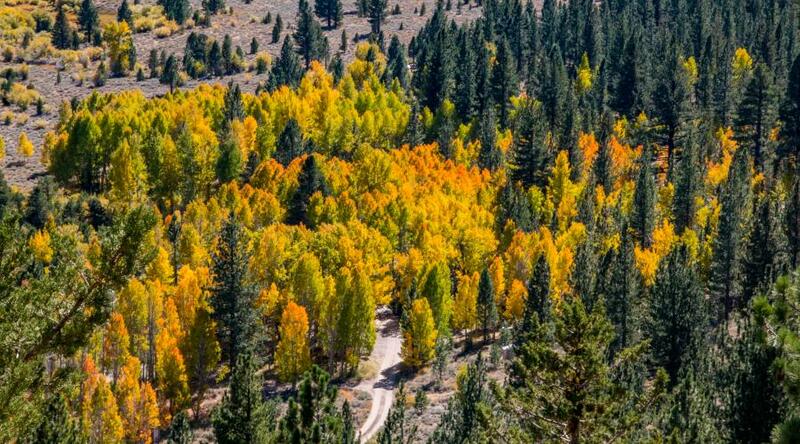 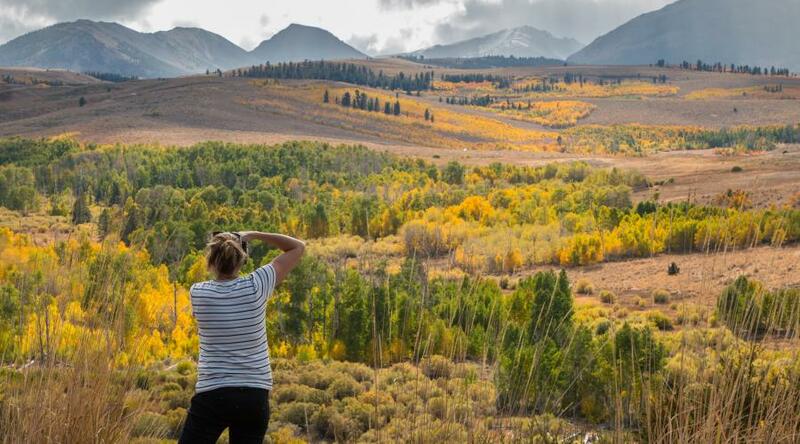 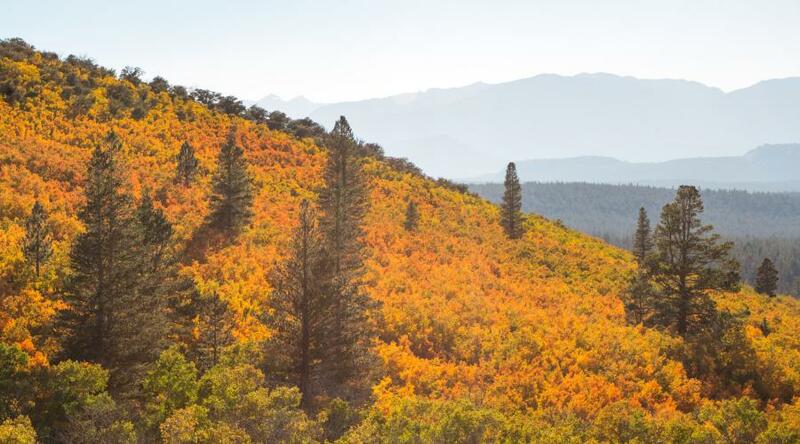 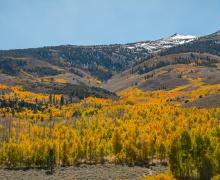 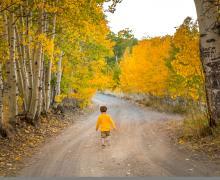 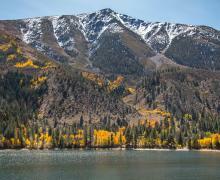 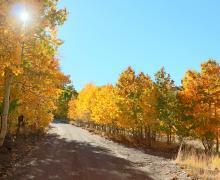 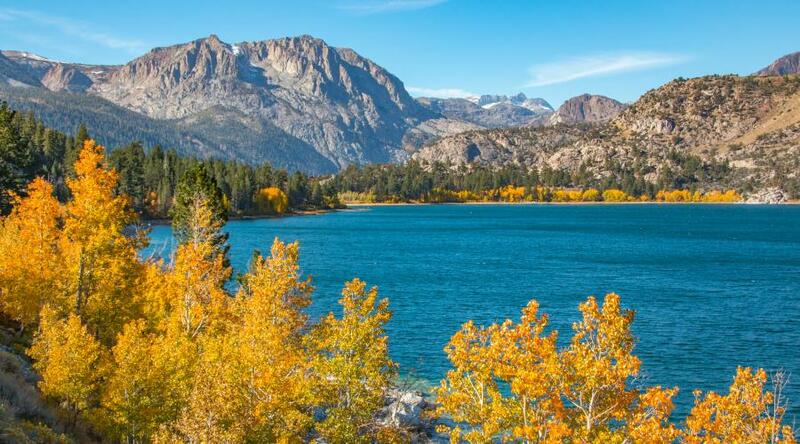 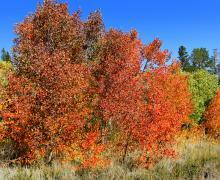 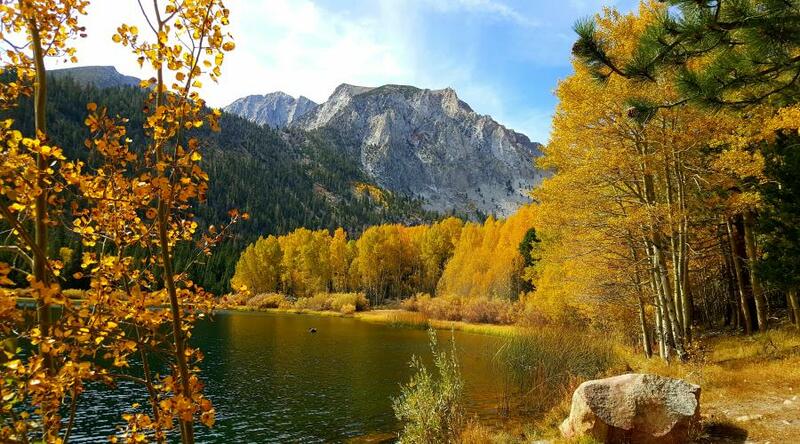 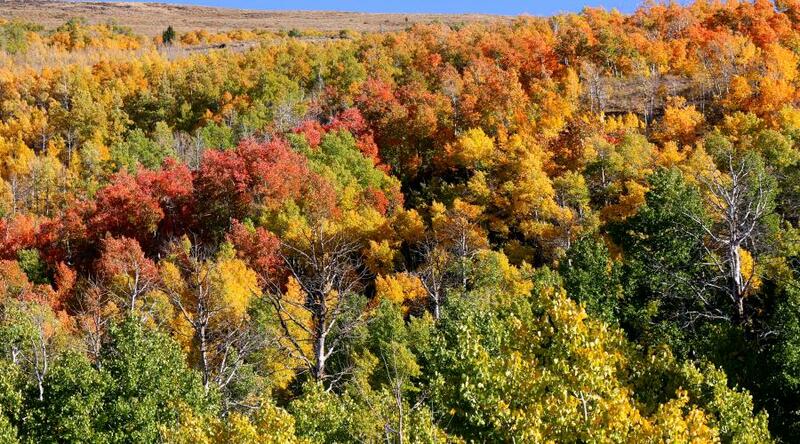 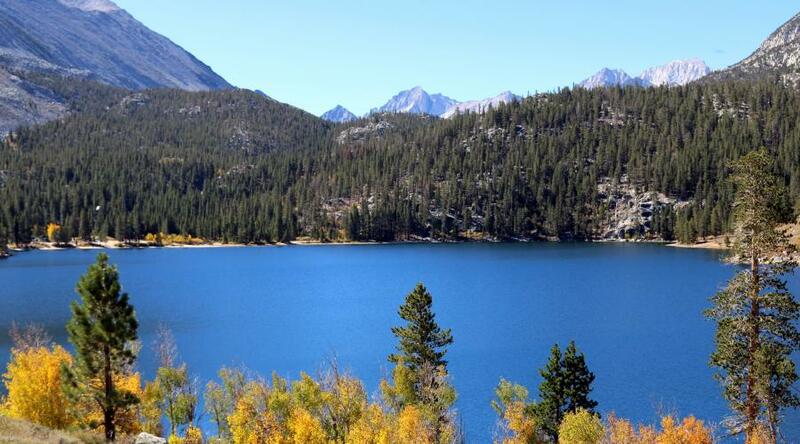 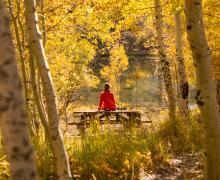 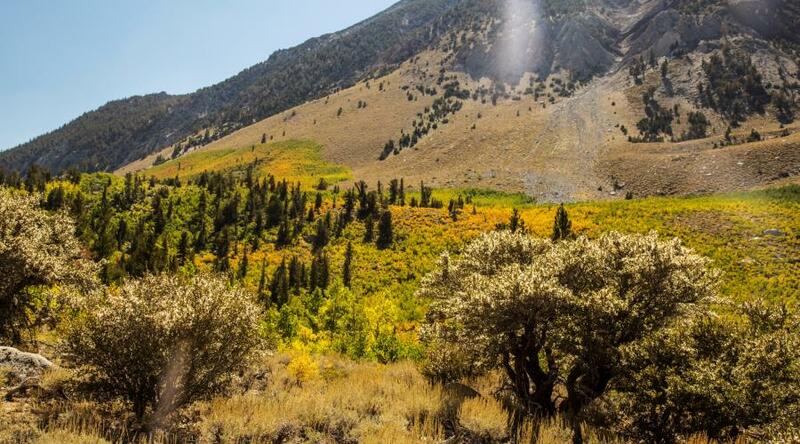 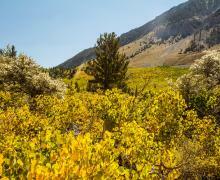 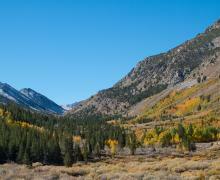 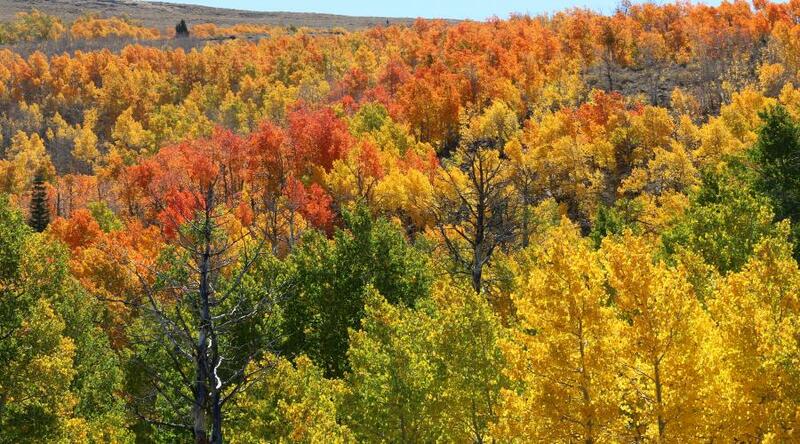 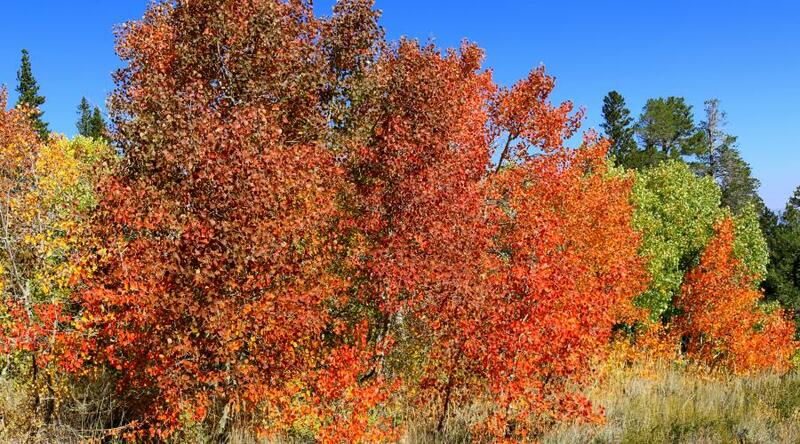 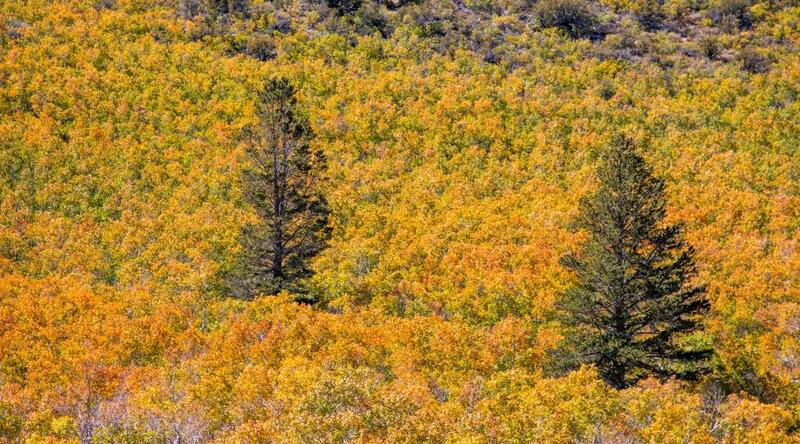 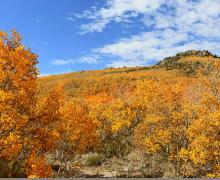 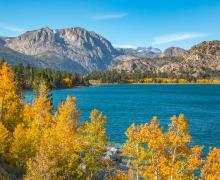 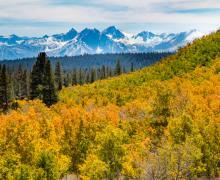 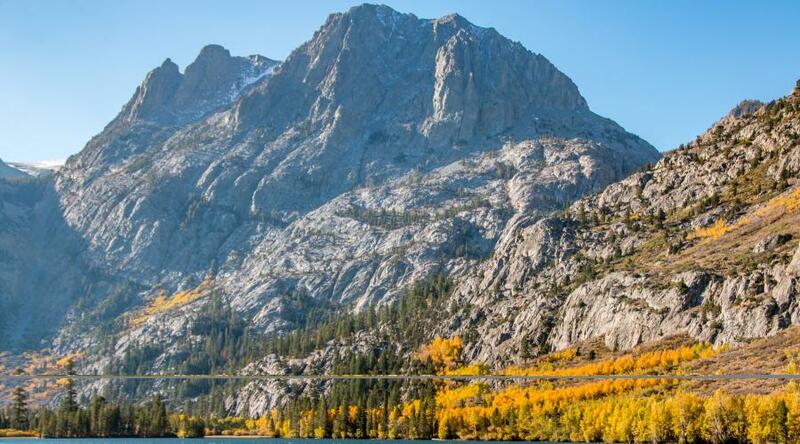 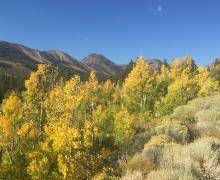 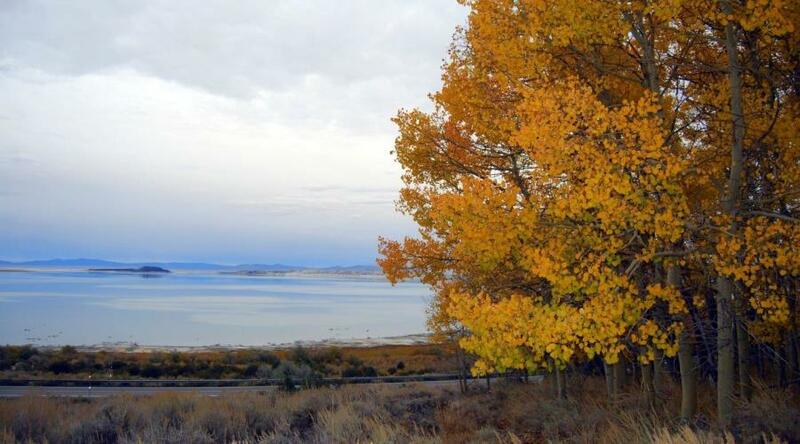 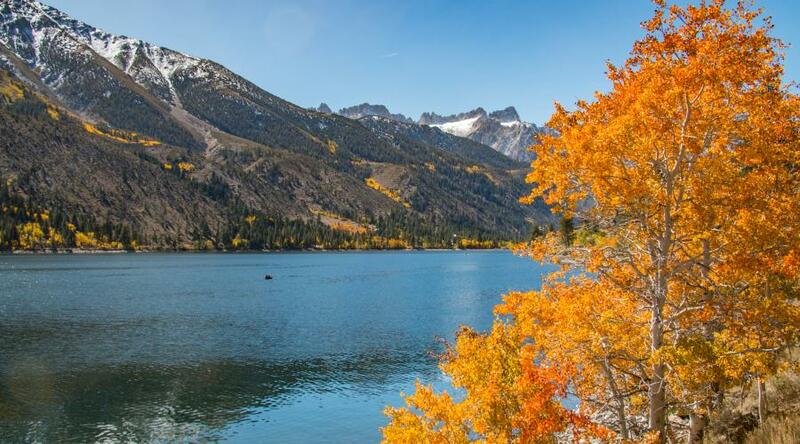 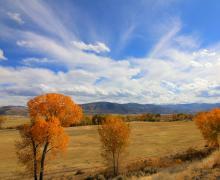 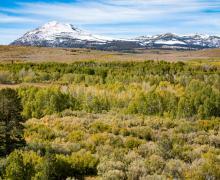 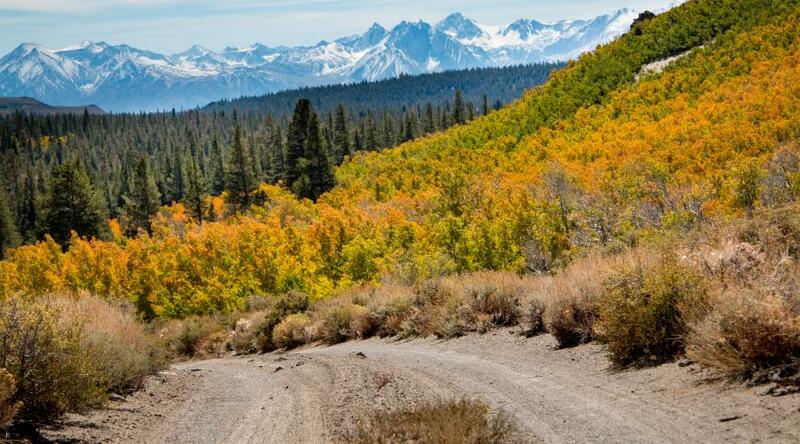 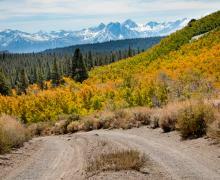 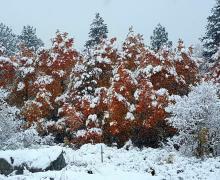 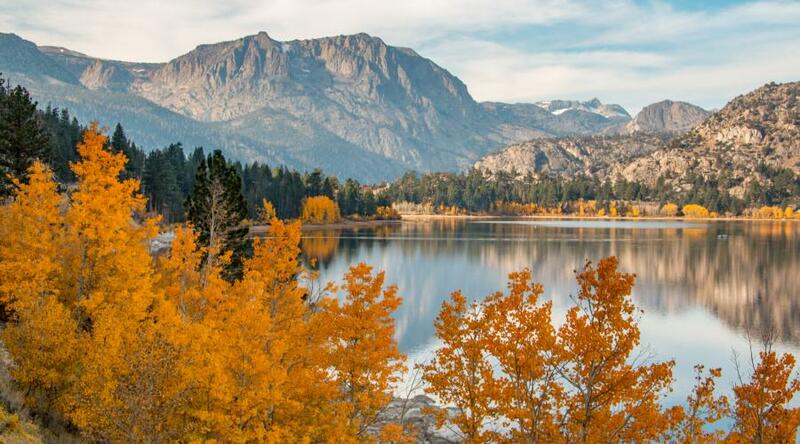 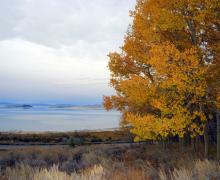 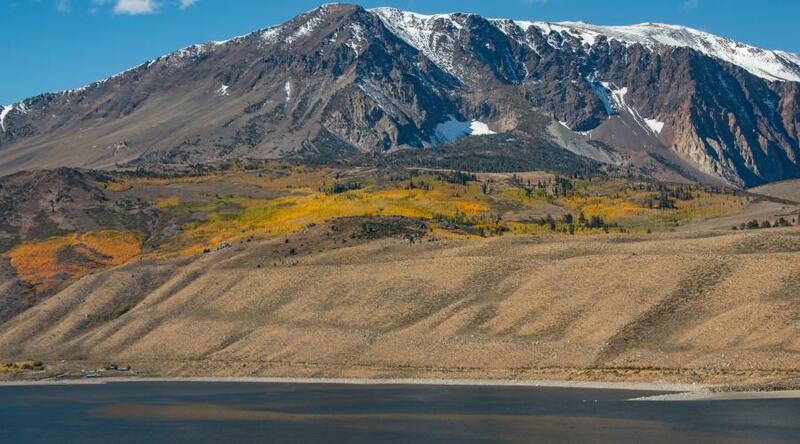 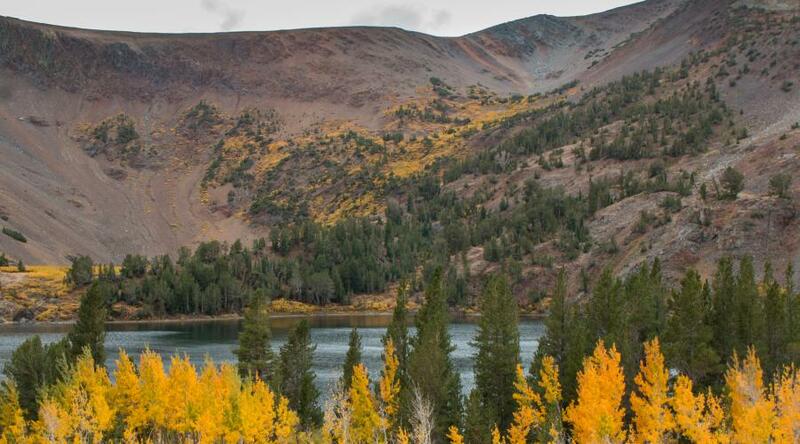 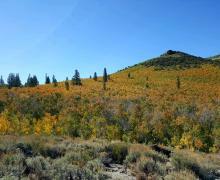 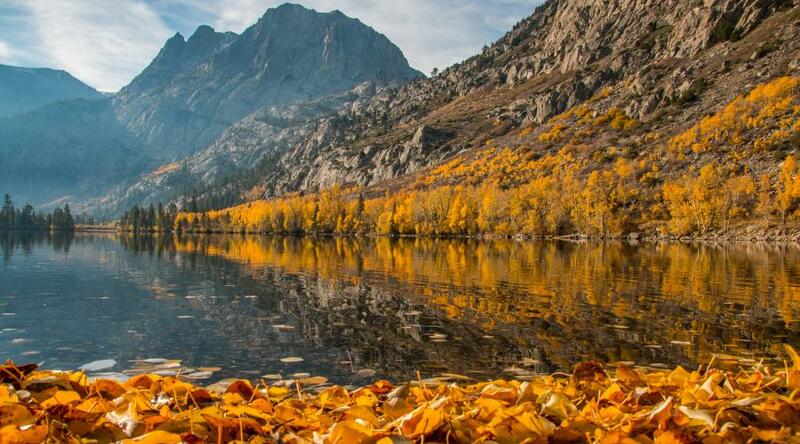 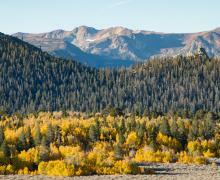 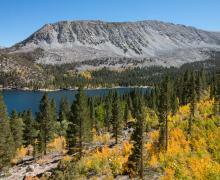 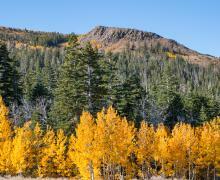 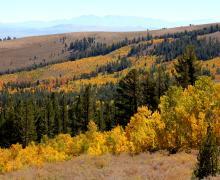 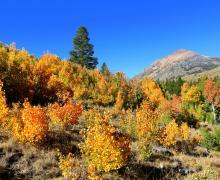 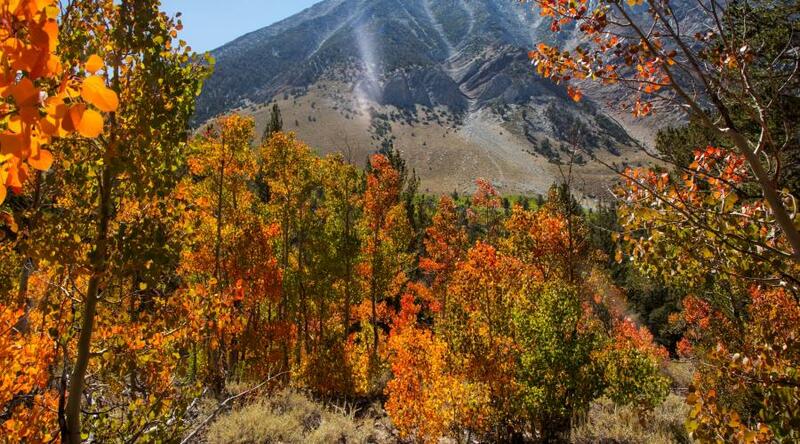 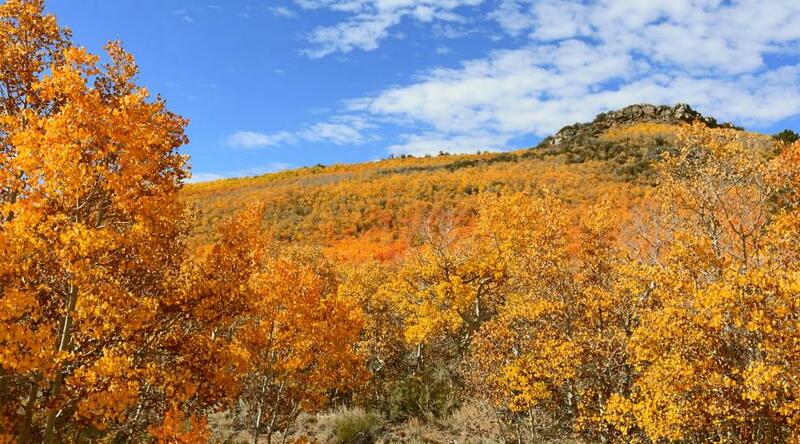 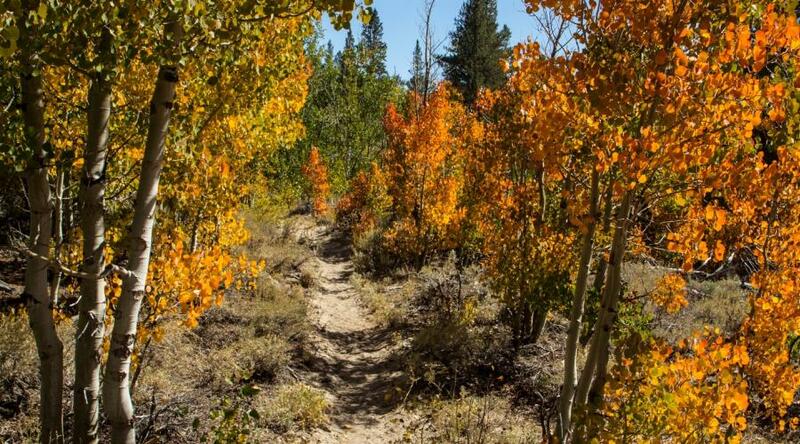 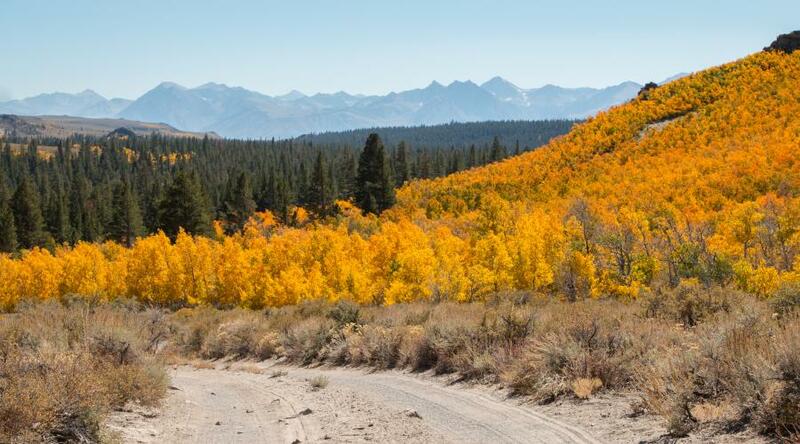 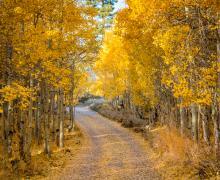 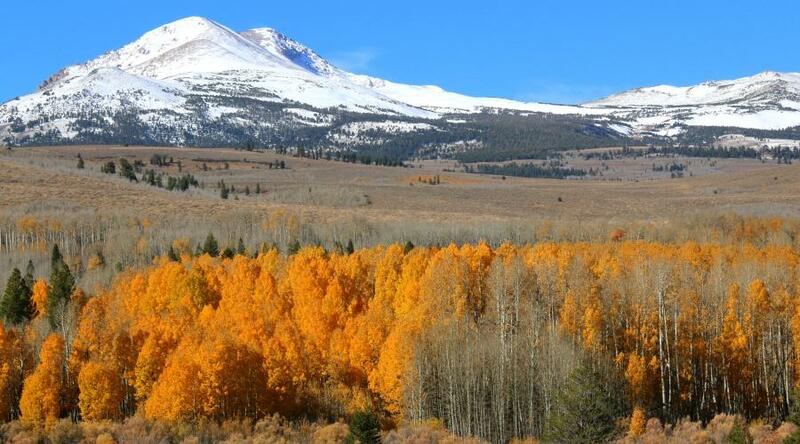 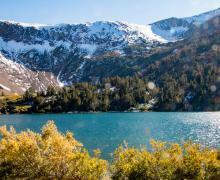 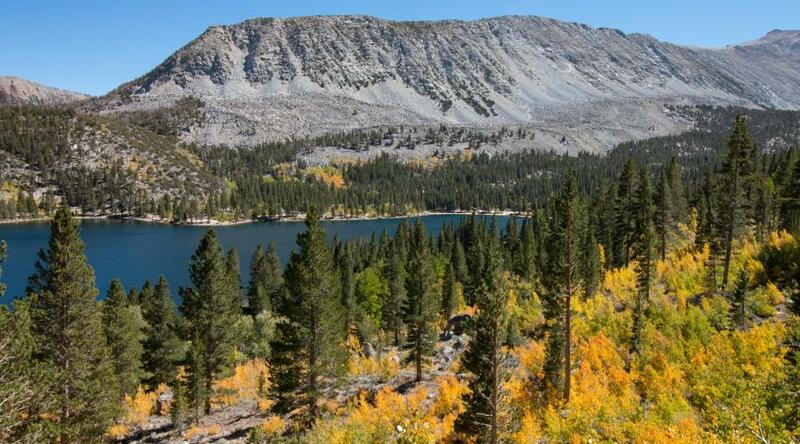 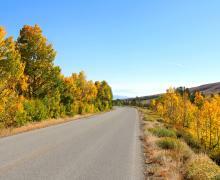 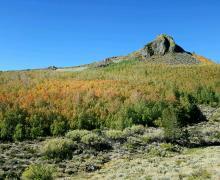 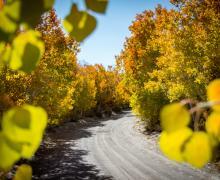 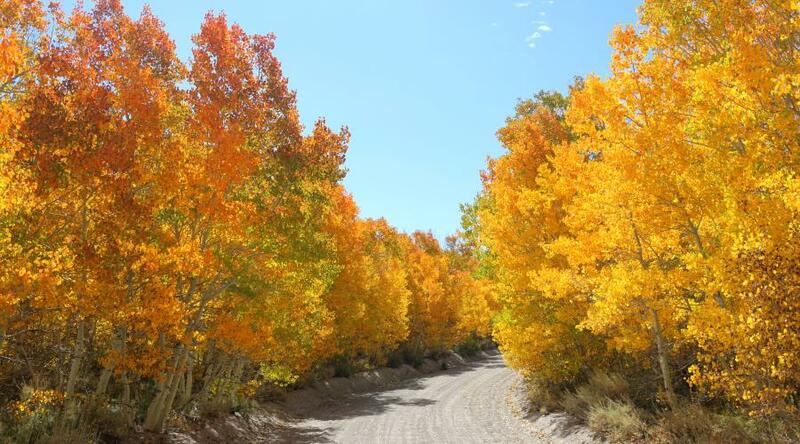 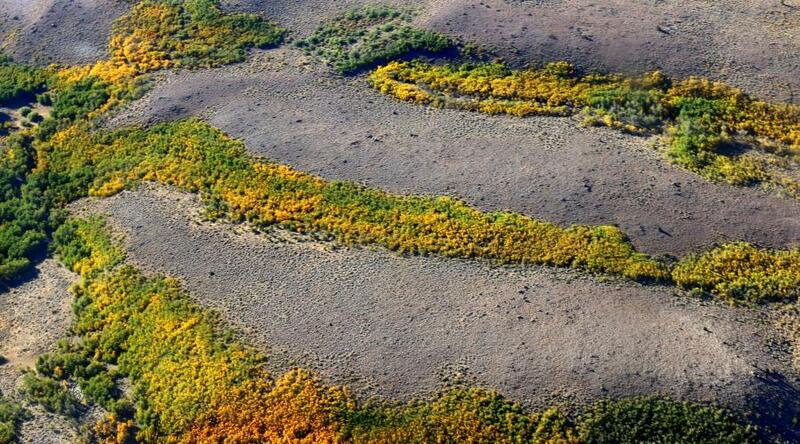 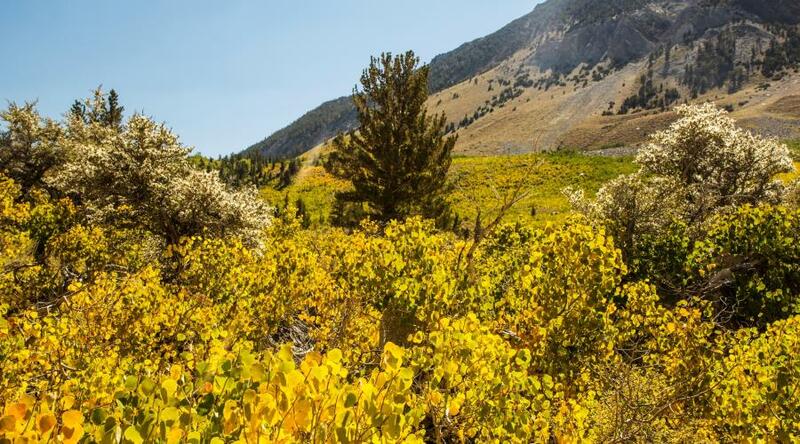 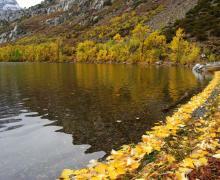 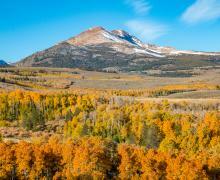 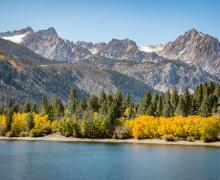 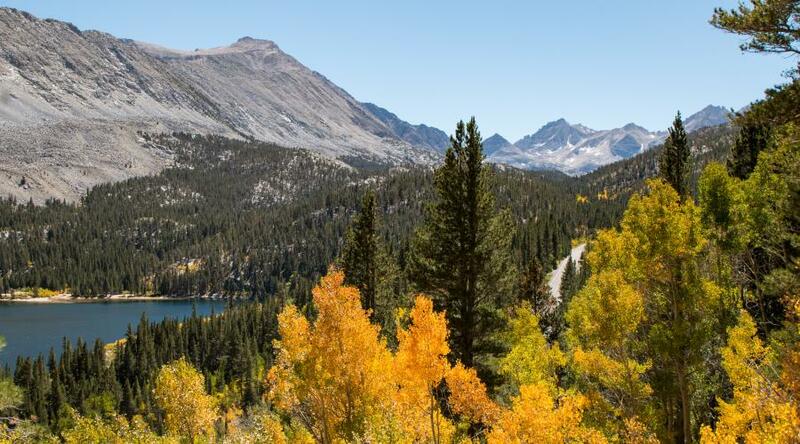 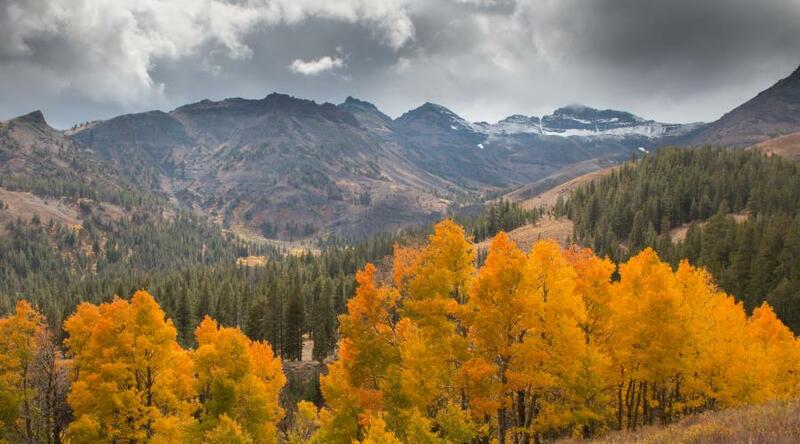 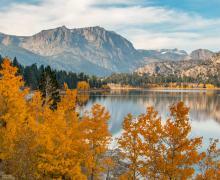 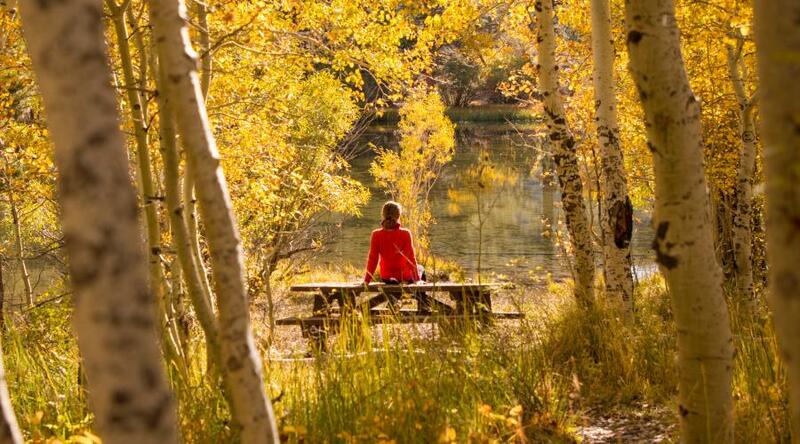 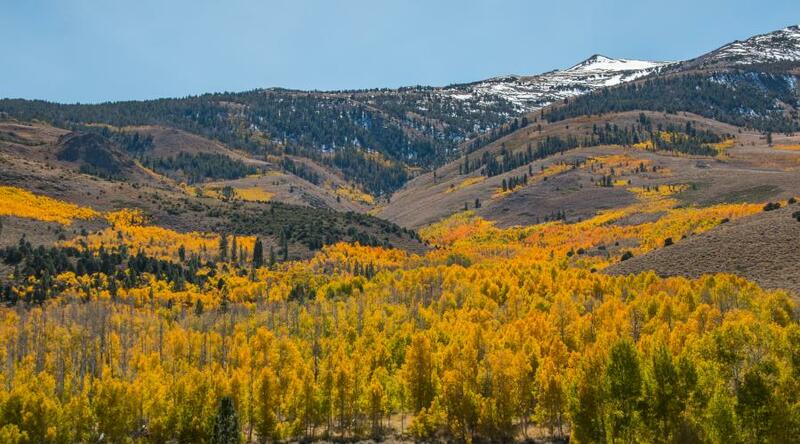 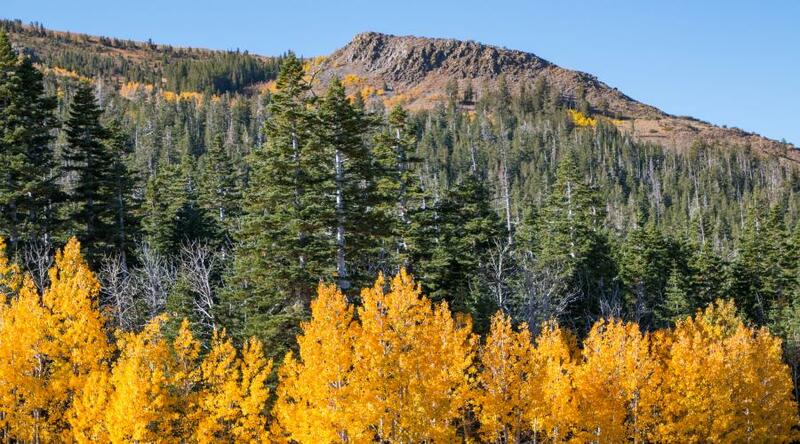 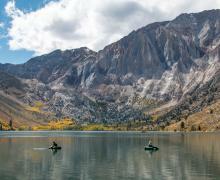 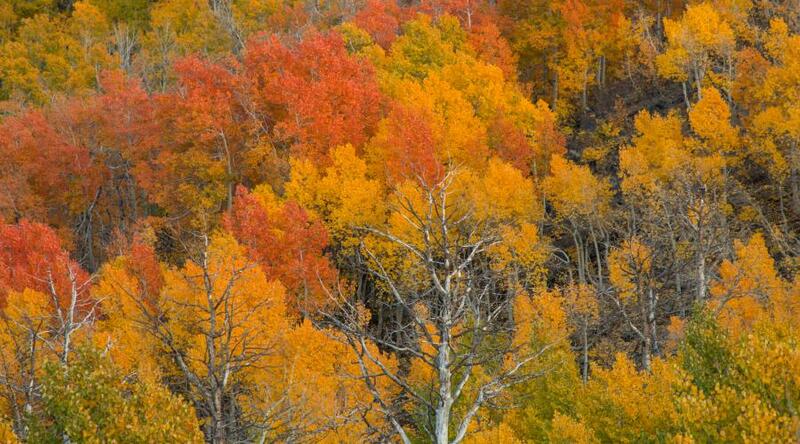 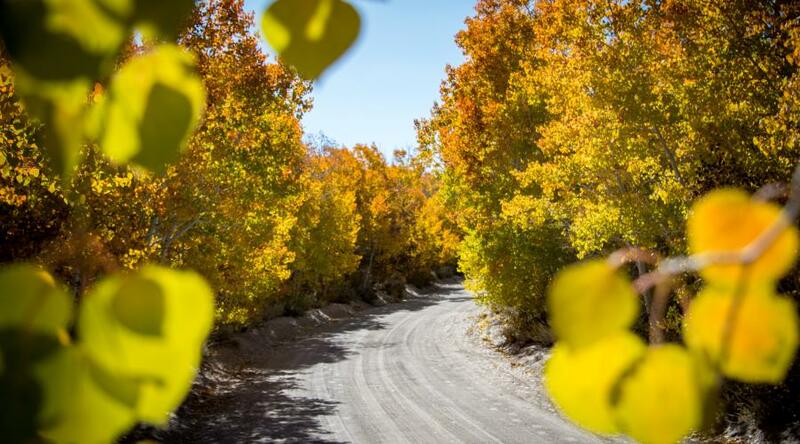 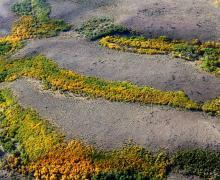 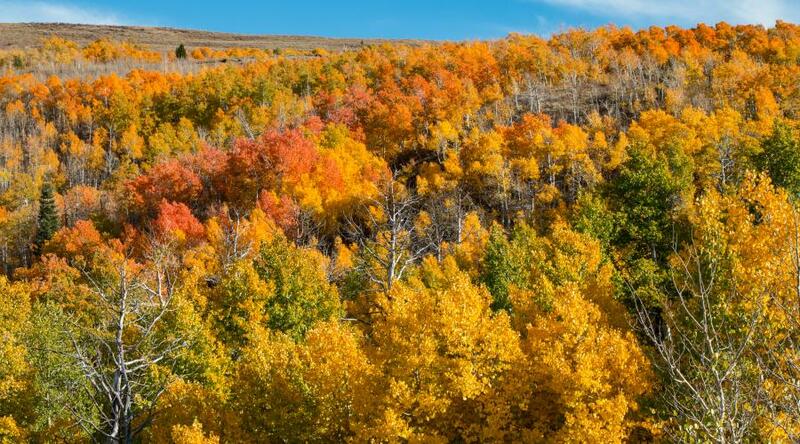 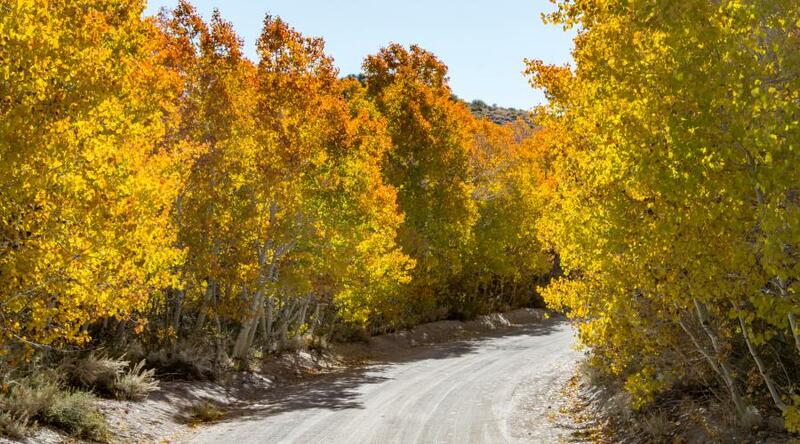 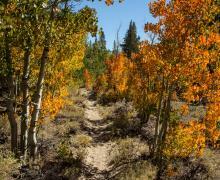 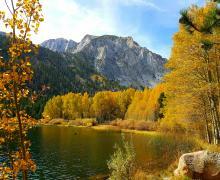 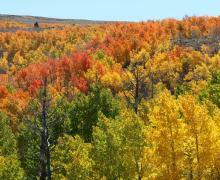 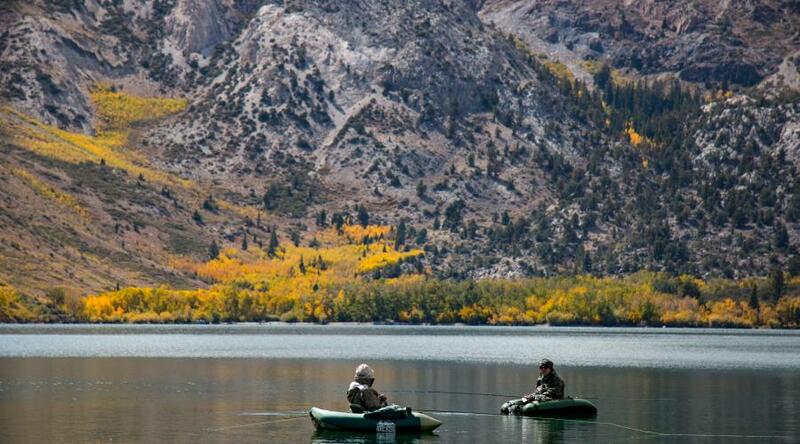 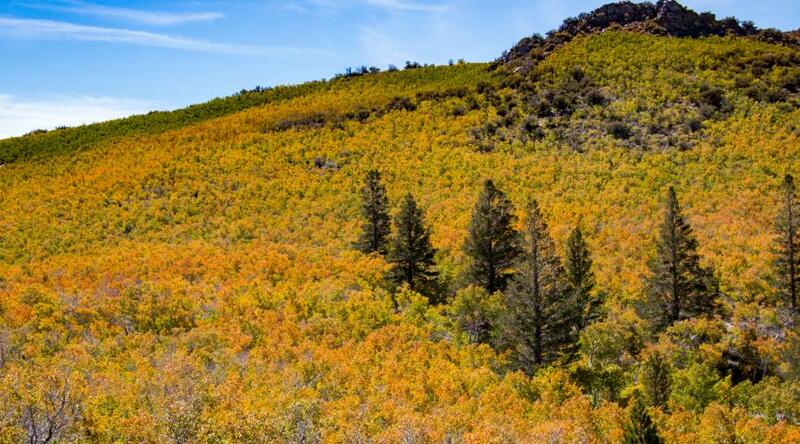 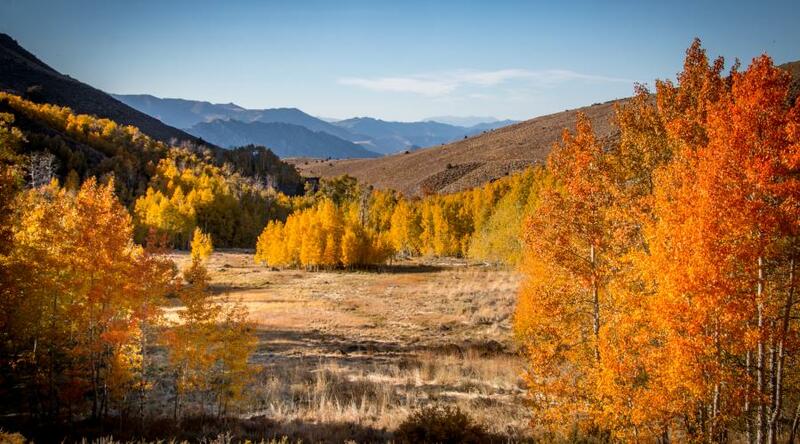 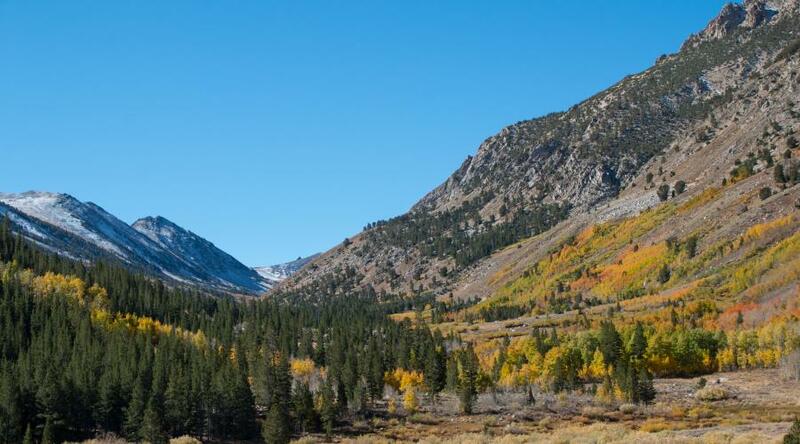 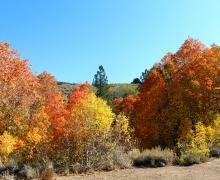 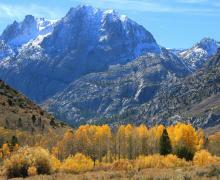 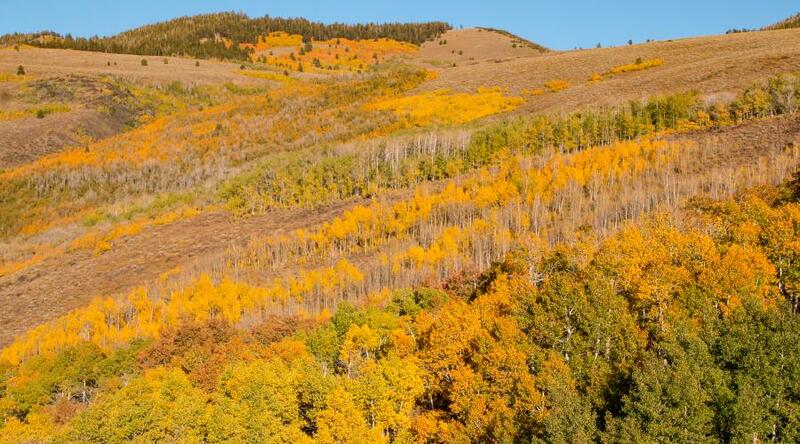 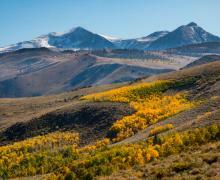 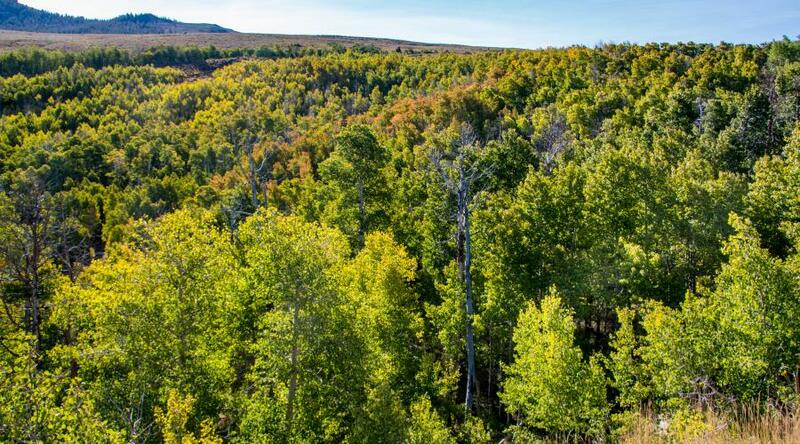 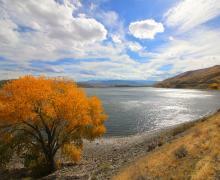 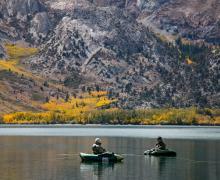 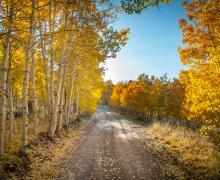 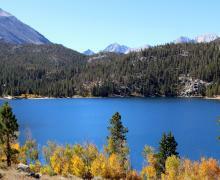 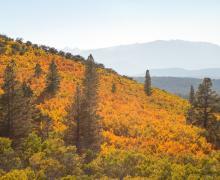 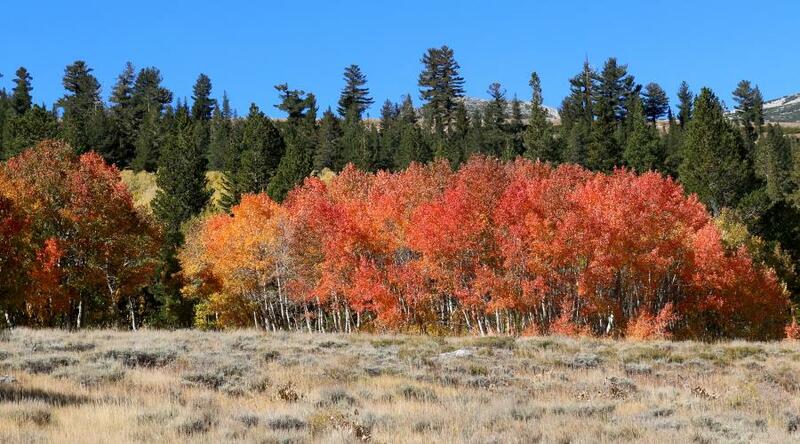 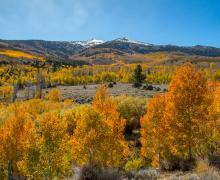 Mono County and the surrounding Eastern Sierra provide the best show of glowing golden-orange-crimson fall colors in the western United States. 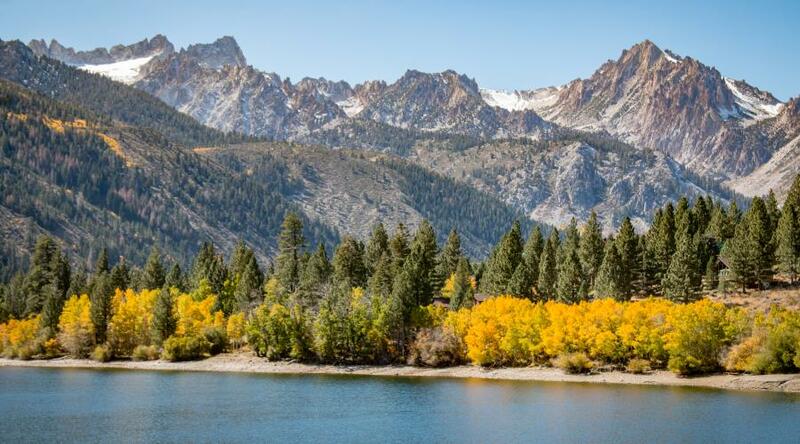 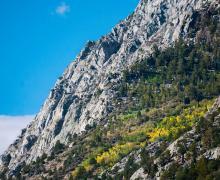 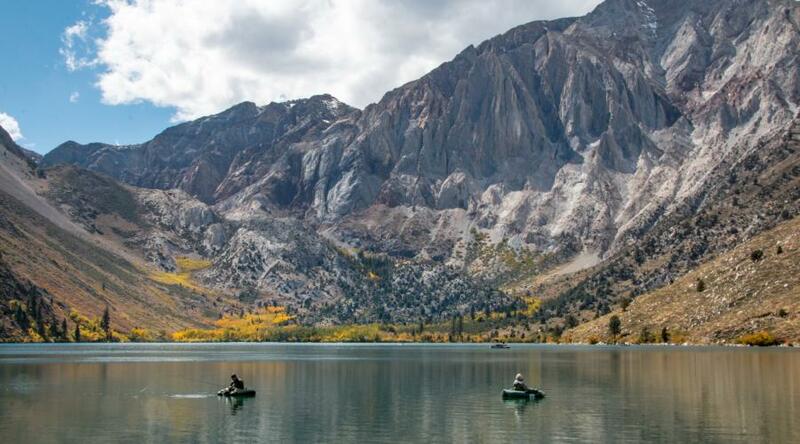 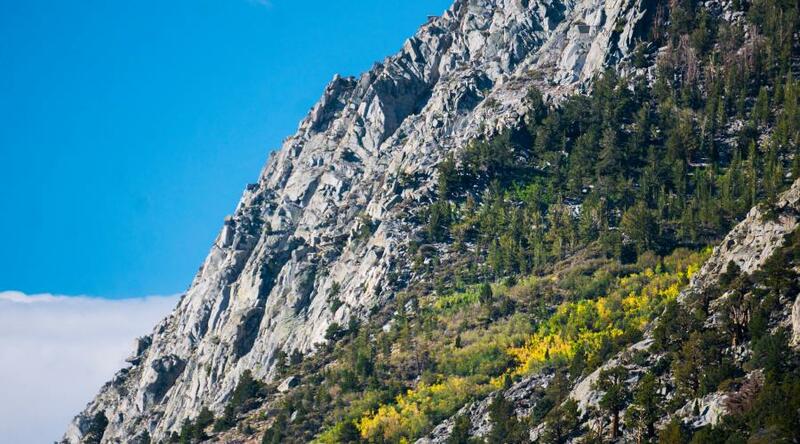 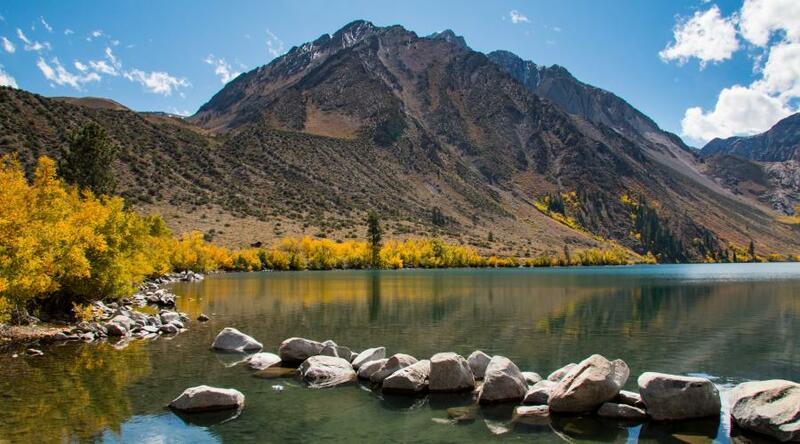 Our natural landscape in the Eastern Sierra, where rugged granite canyons are carved by rushing streams and framed by an azure sky, offers a spellbinding contrast of colors during autumn. 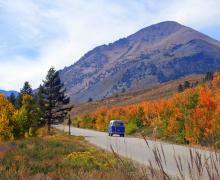 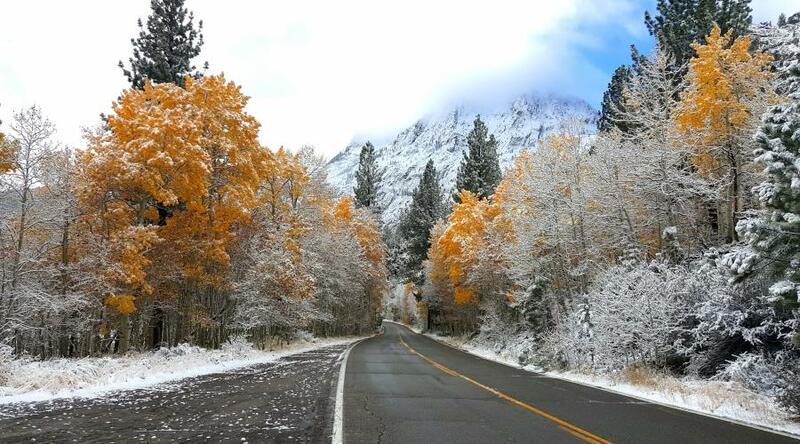 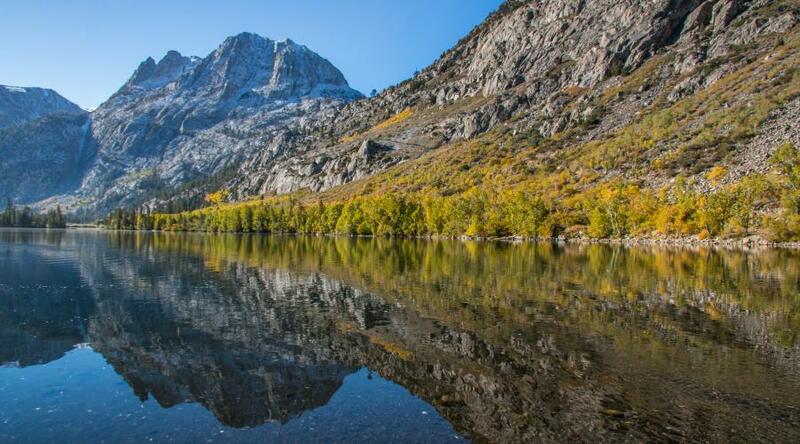 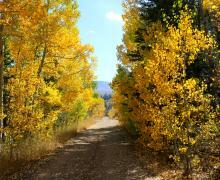 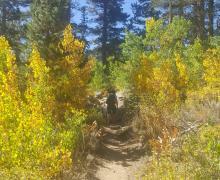 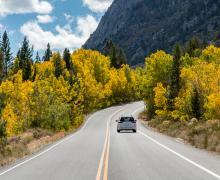 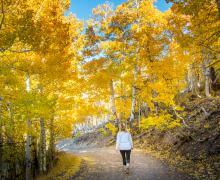 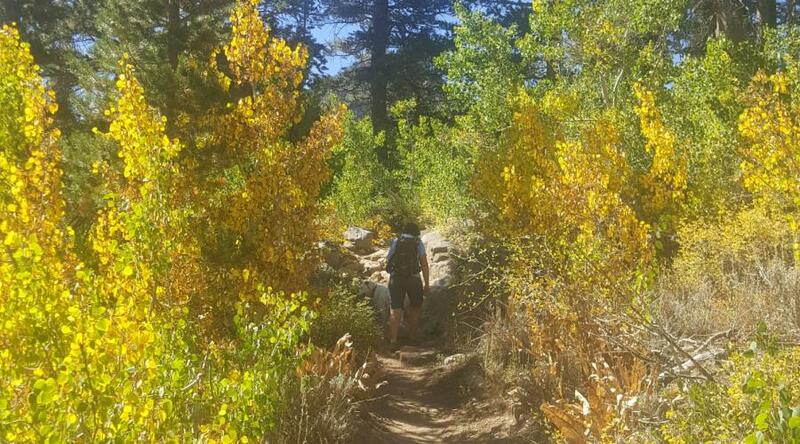 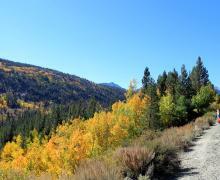 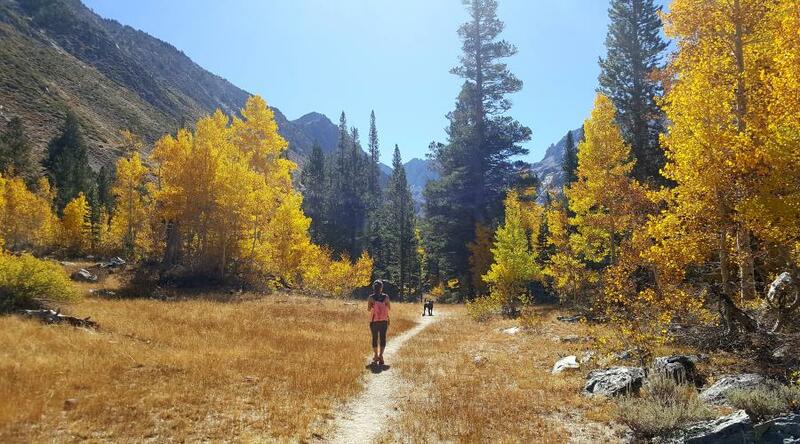 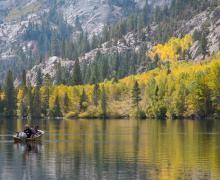 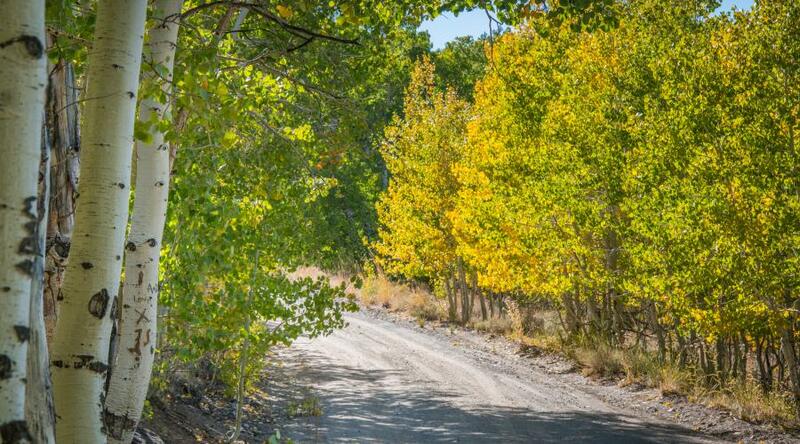 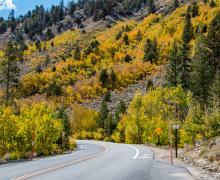 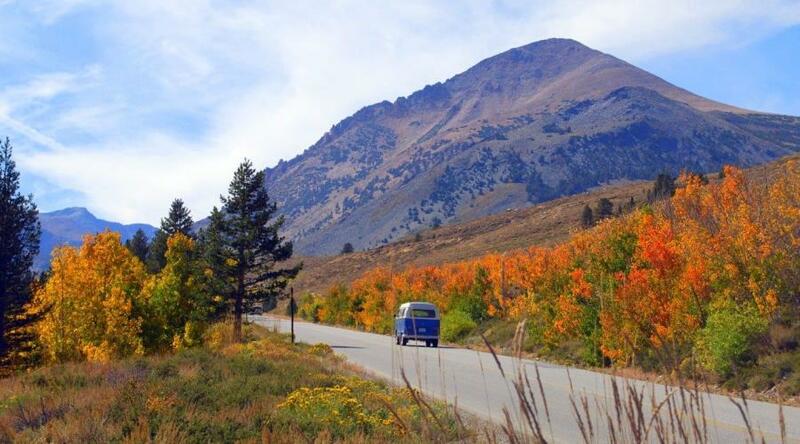 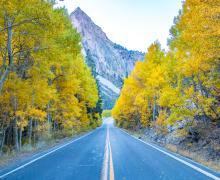 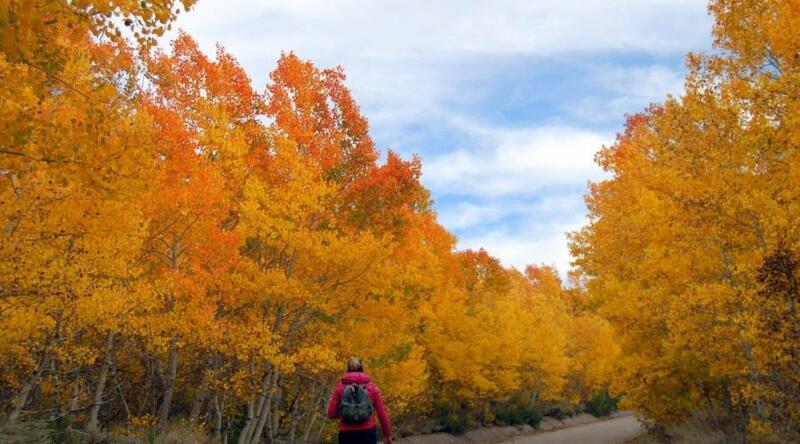 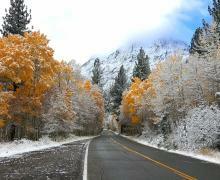 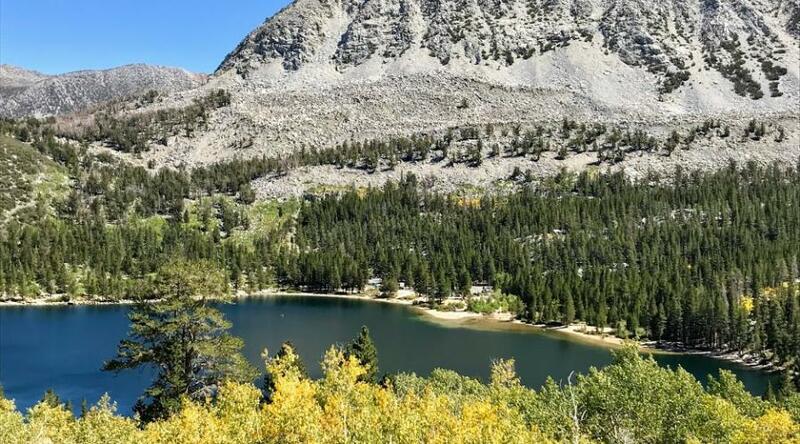 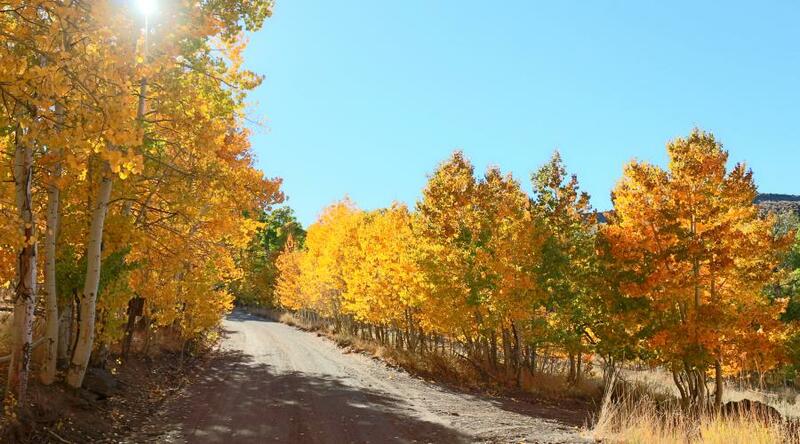 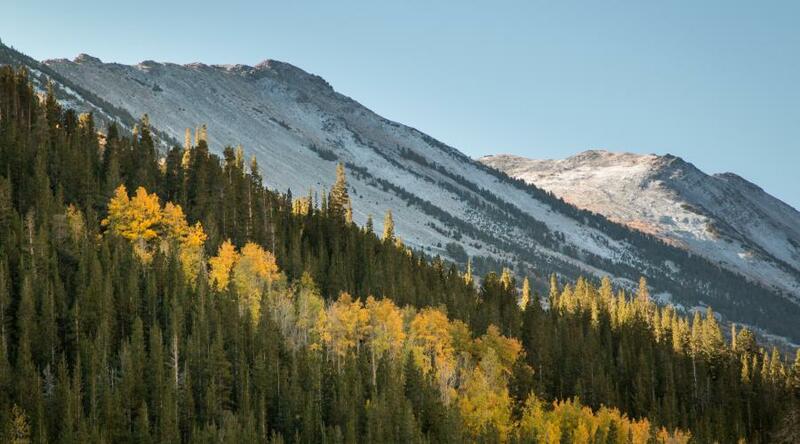 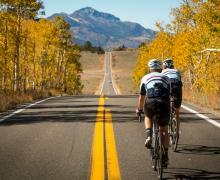 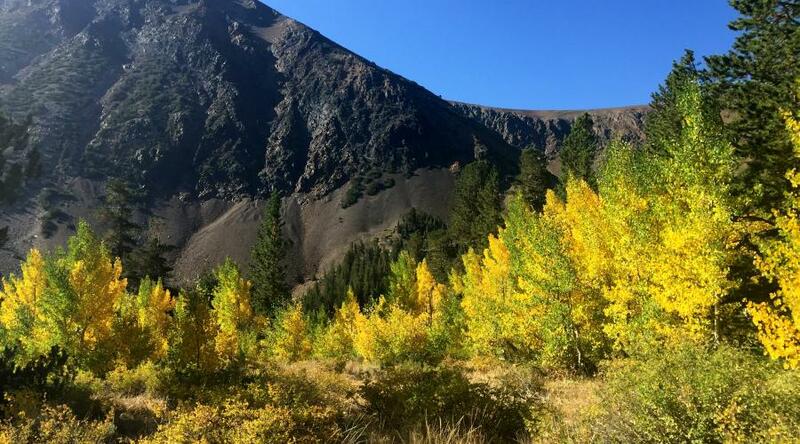 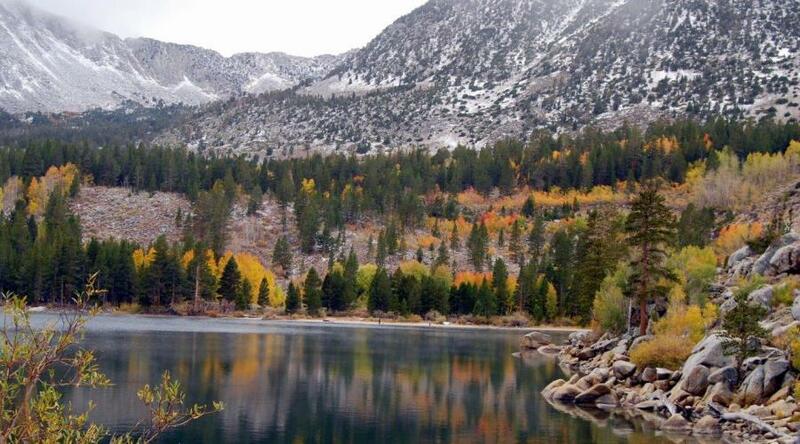 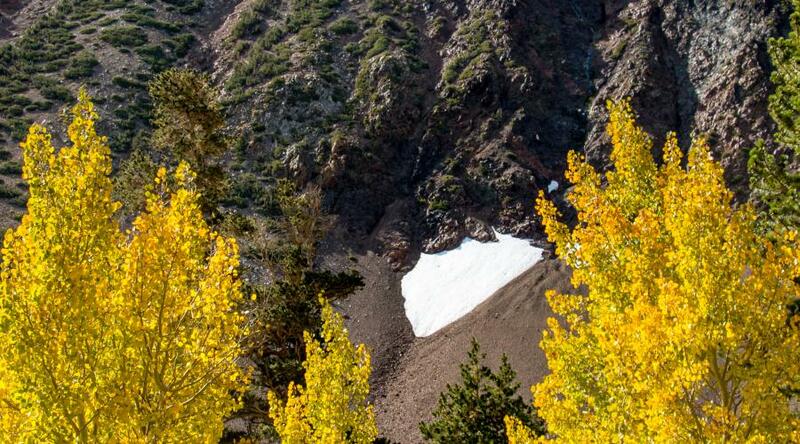 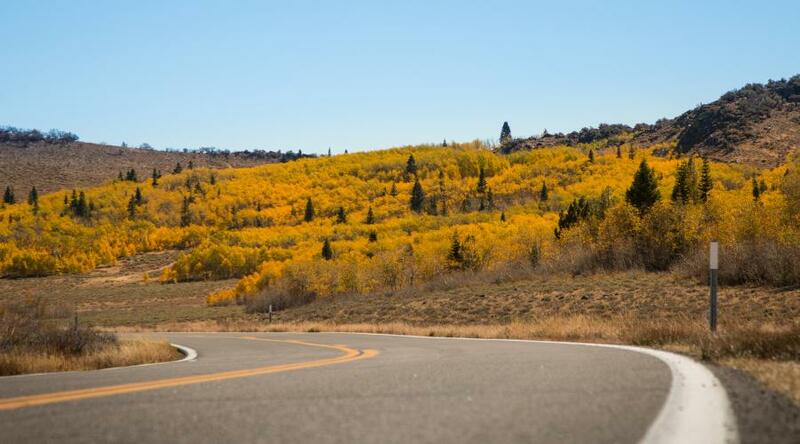 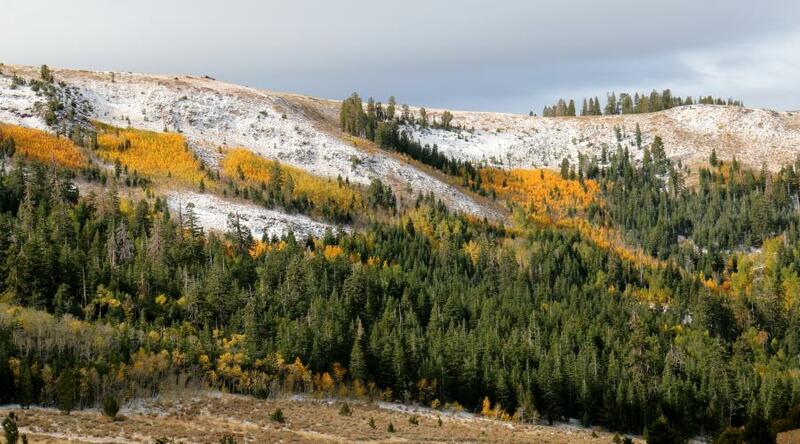 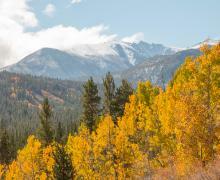 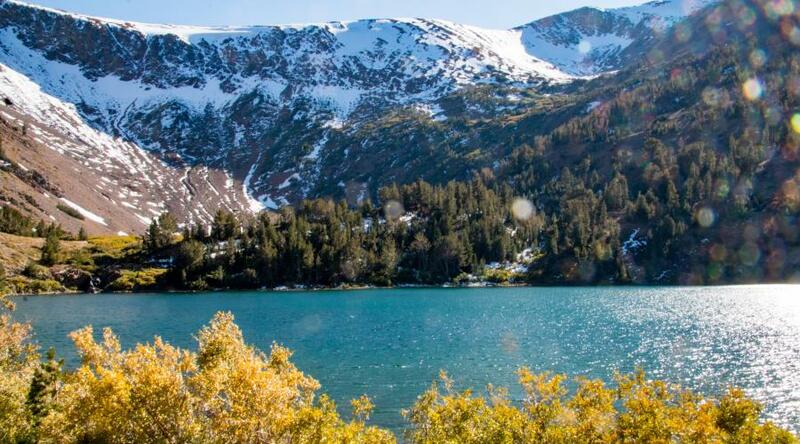 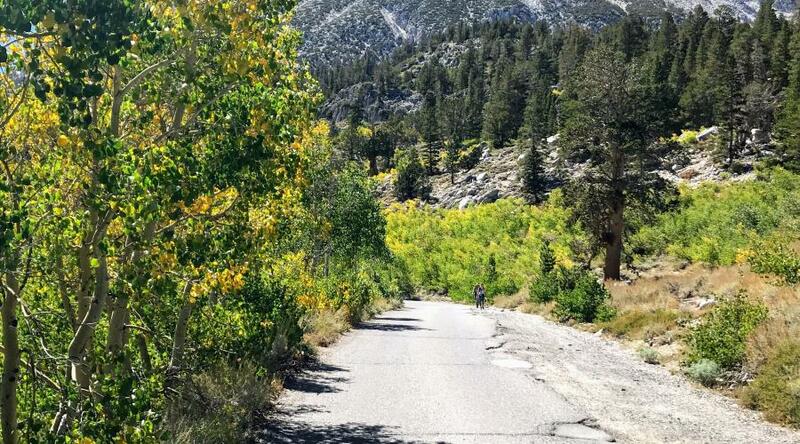 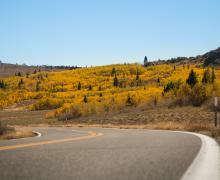 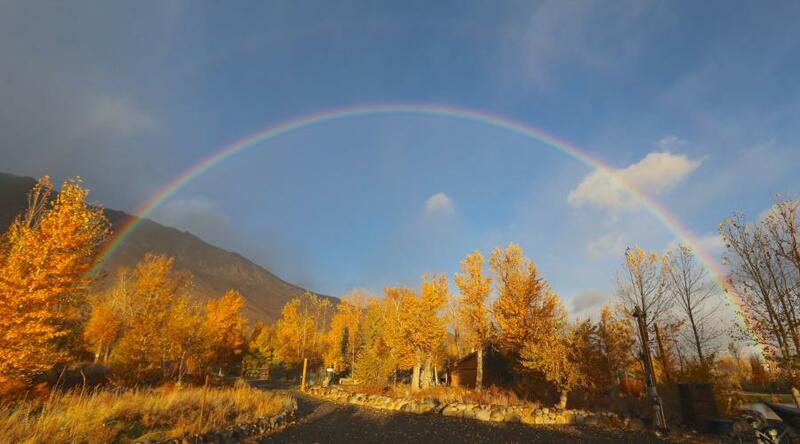 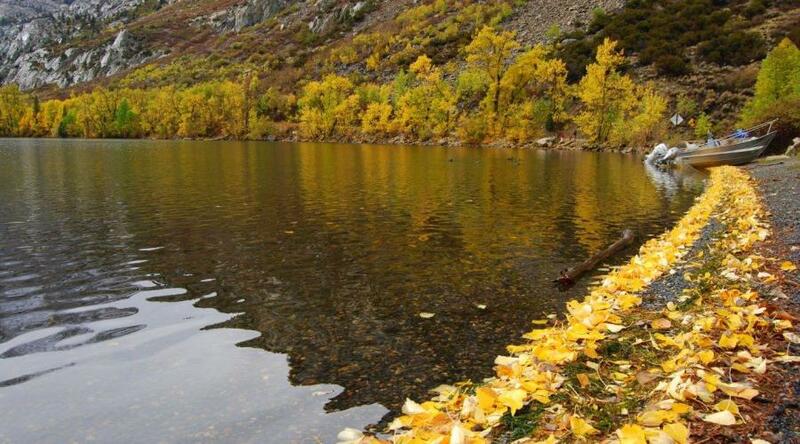 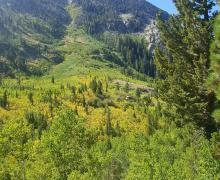 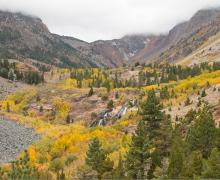 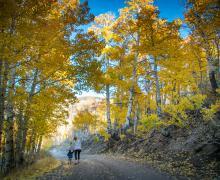 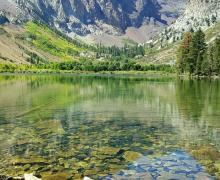 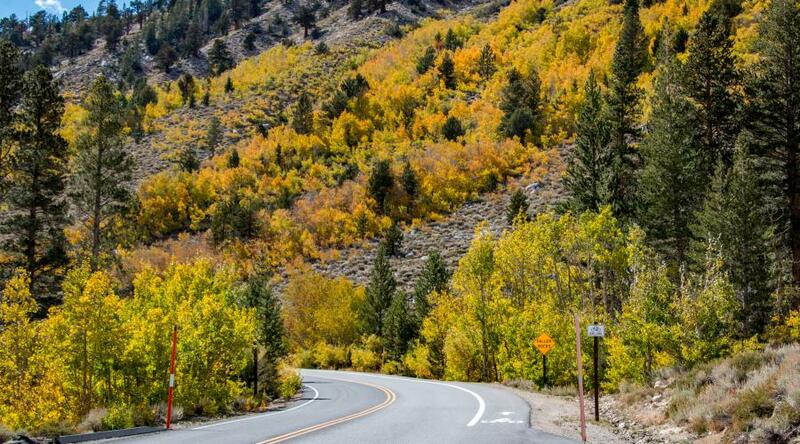 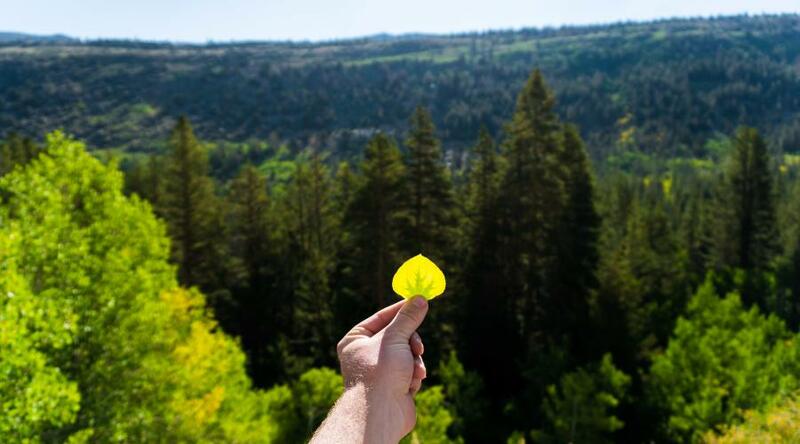 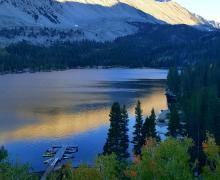 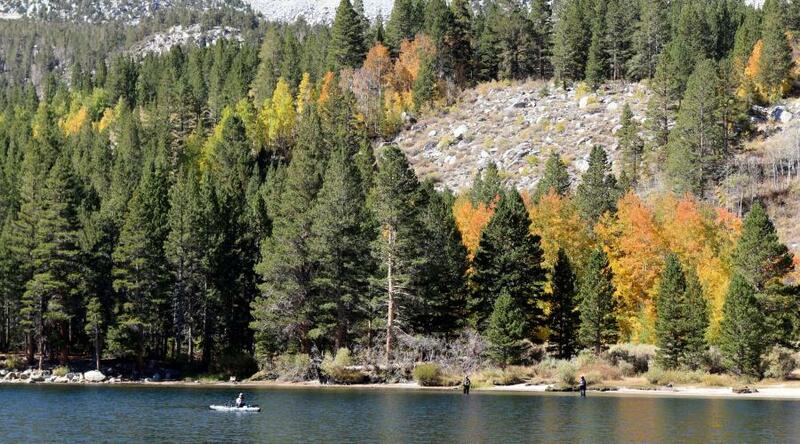 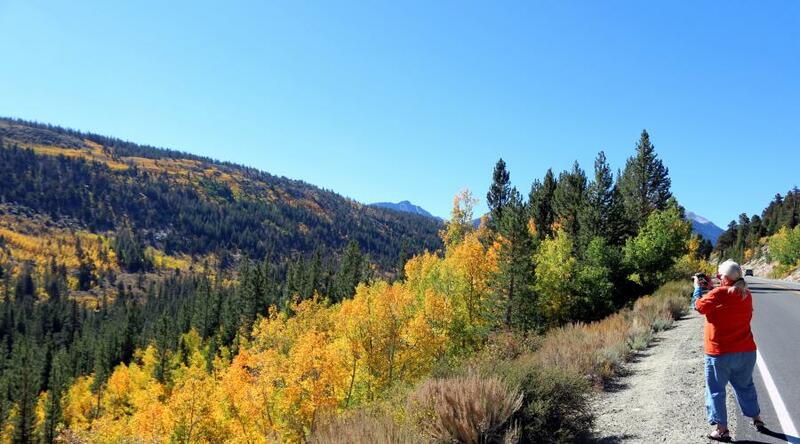 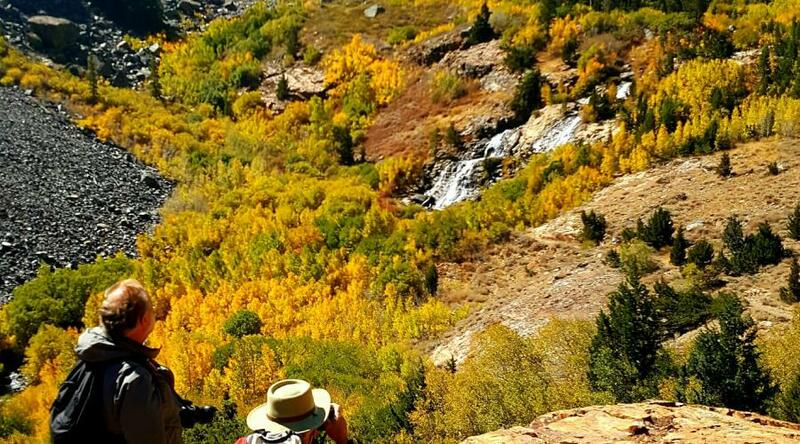 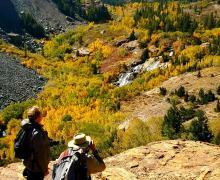 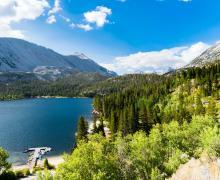 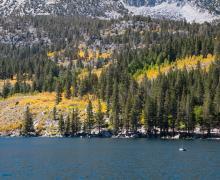 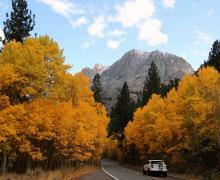 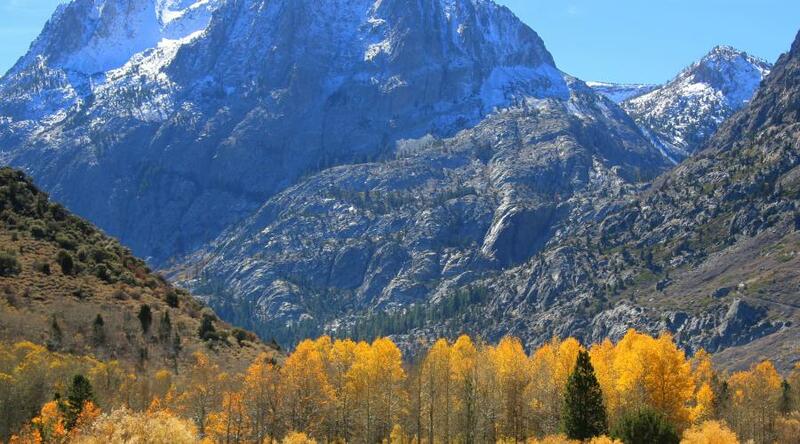 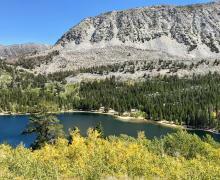 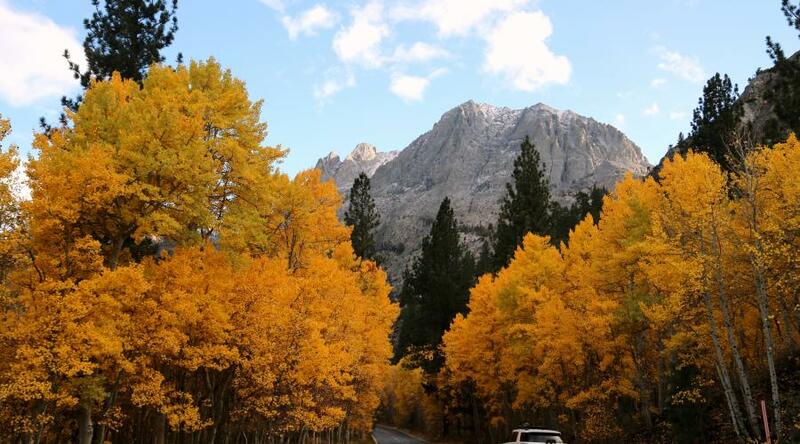 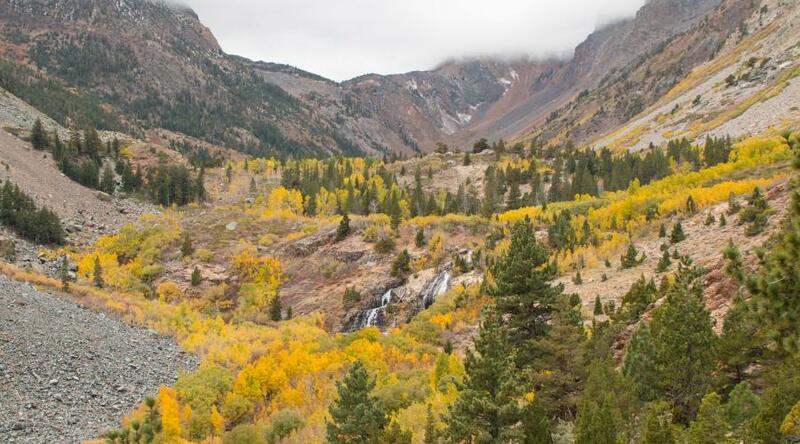 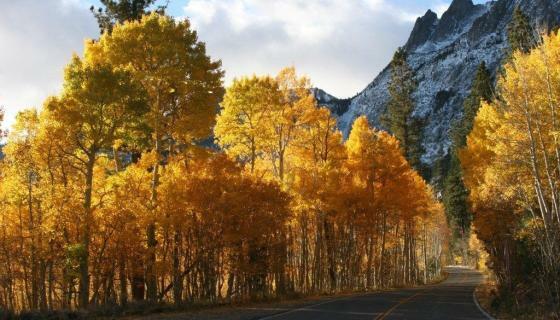 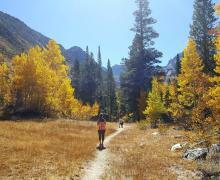 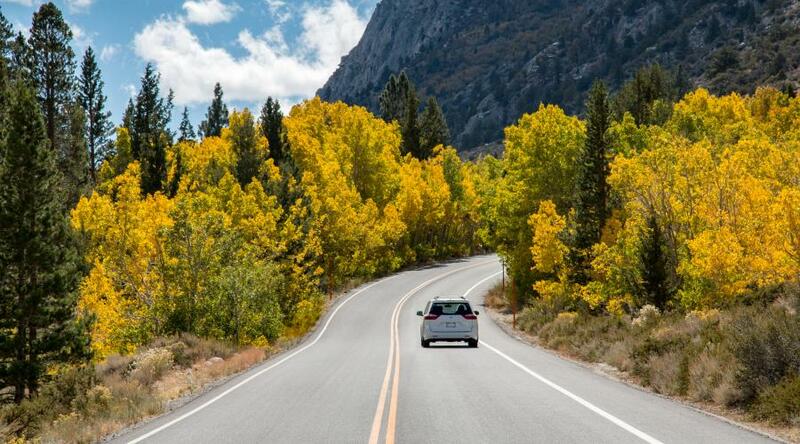 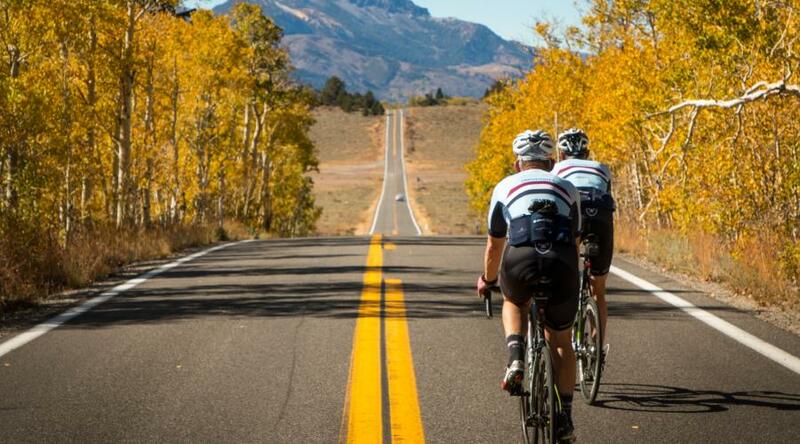 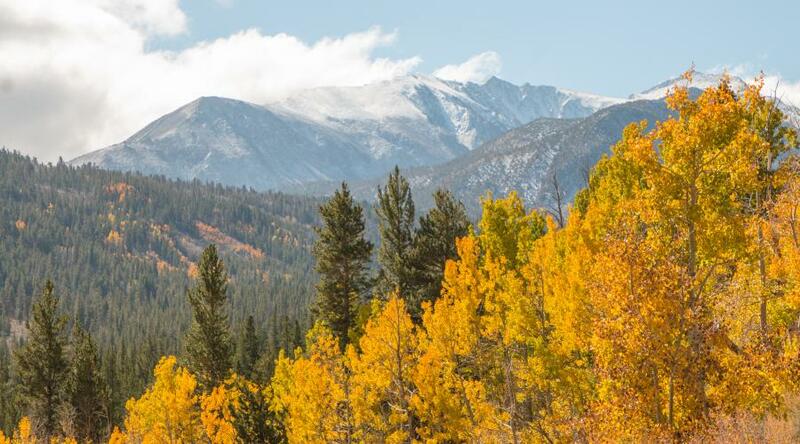 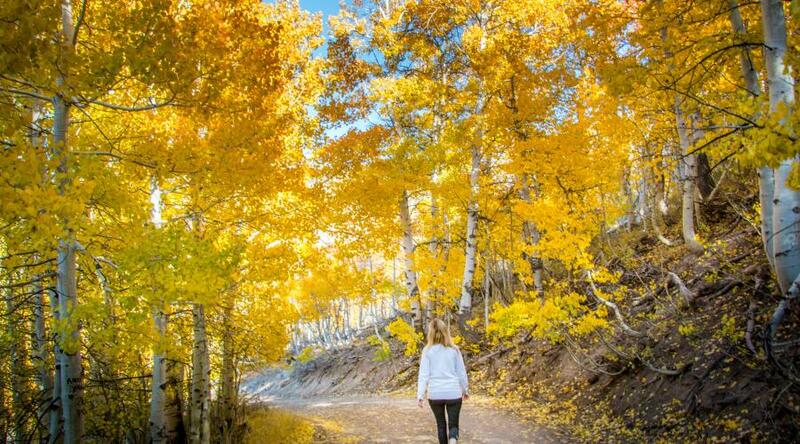 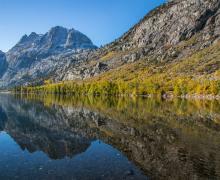 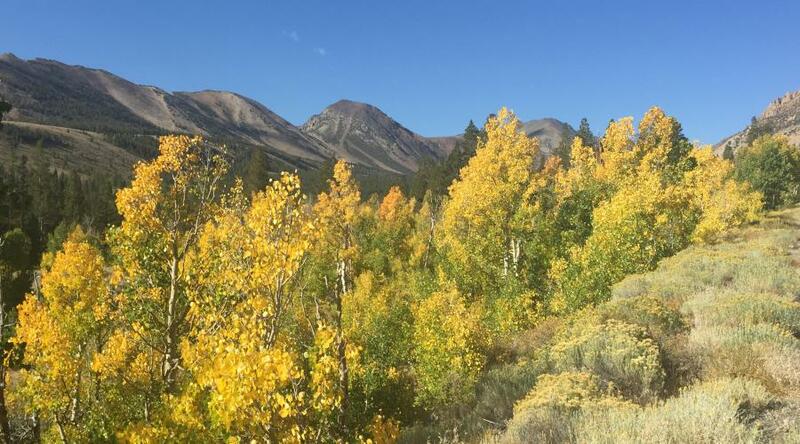 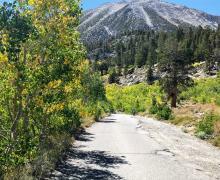 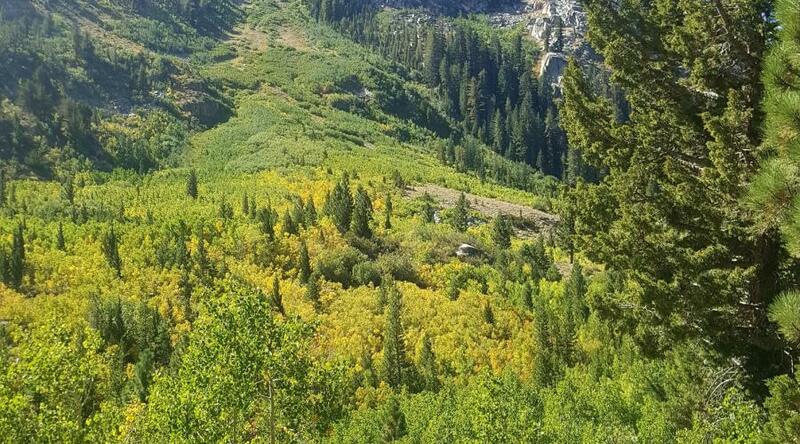 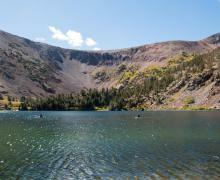 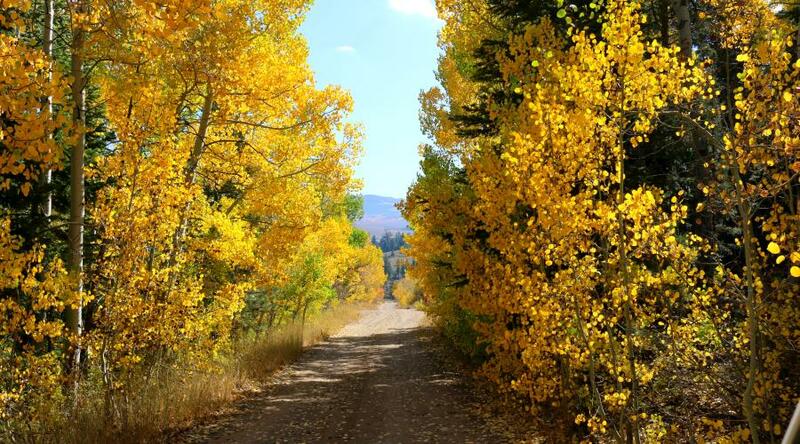 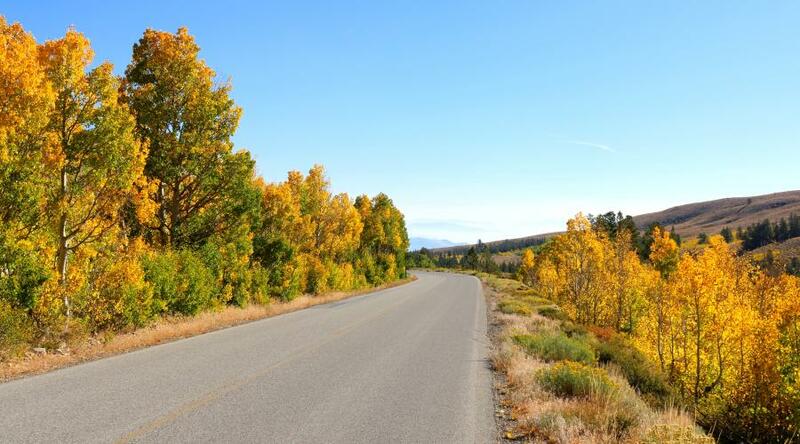 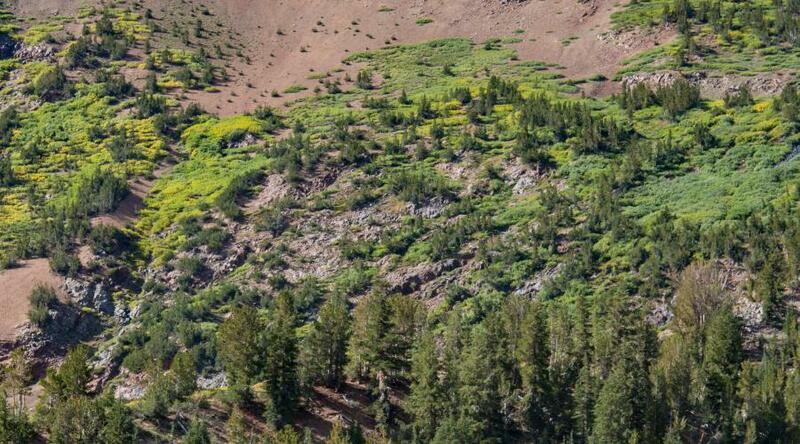 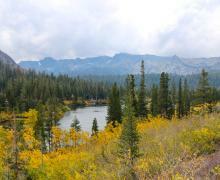 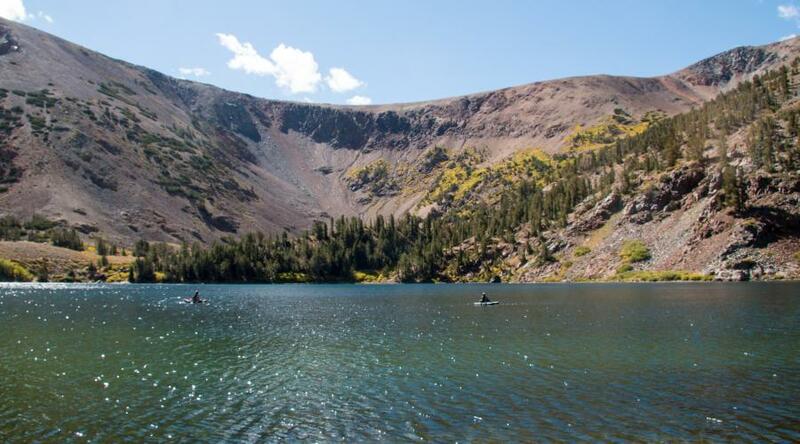 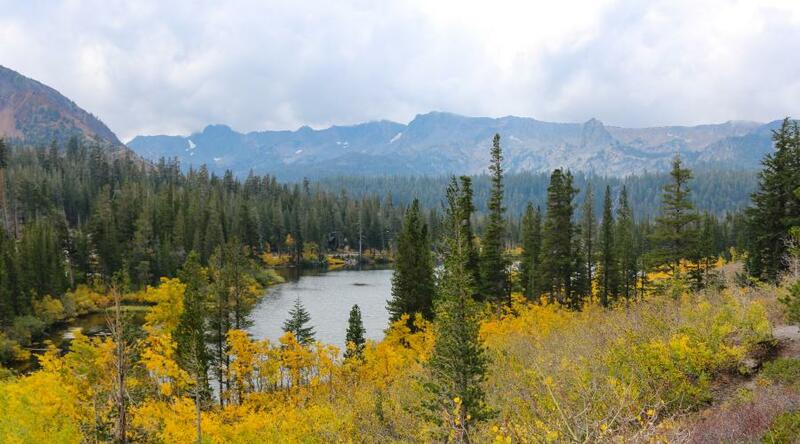 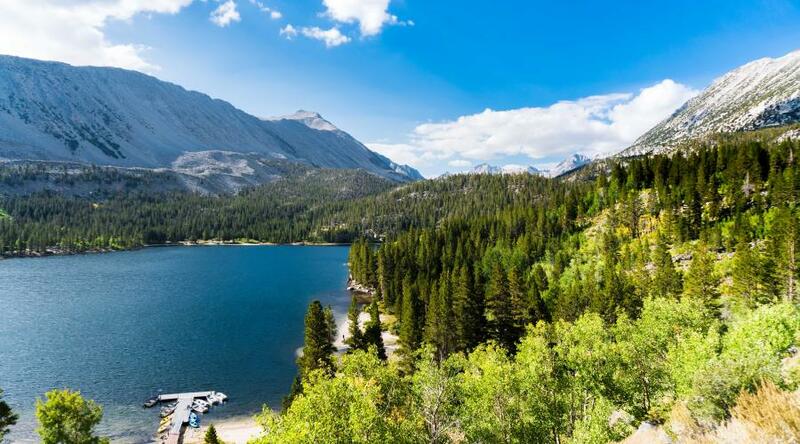 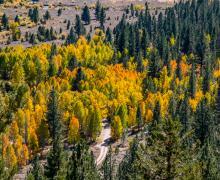 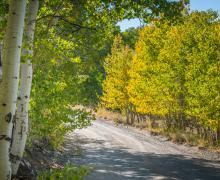 Travel to Rock Creek, Mammoth Lakes, the June Lake Loop, Yosemite (Tioga Pass), Lundy Canyon, Bridgeport, Sonora Pass and beyond to see fall colors at their finest. 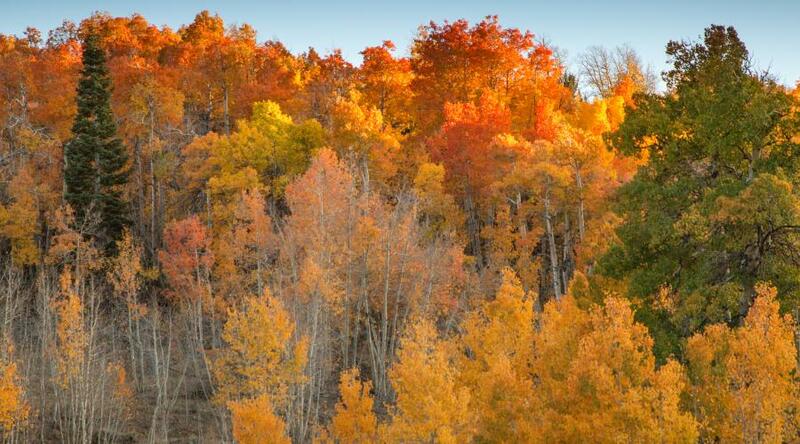 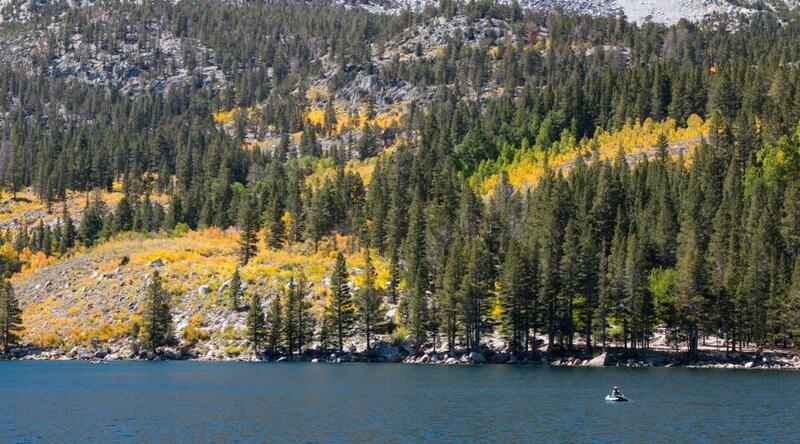 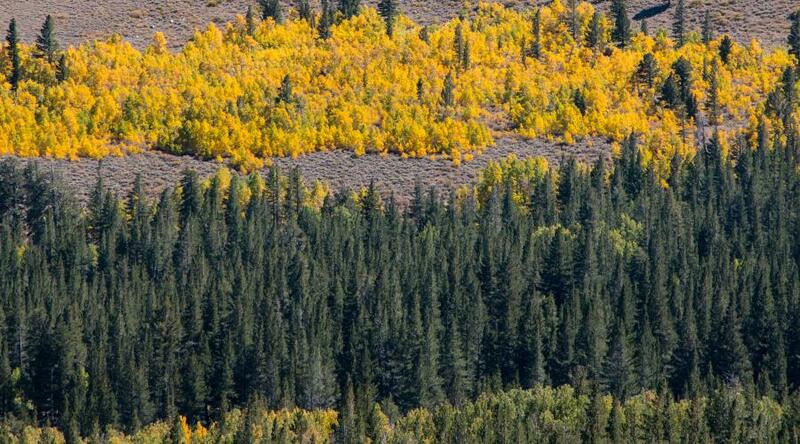 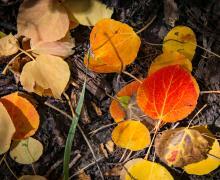 Click HERE to download our Fall Color Guide & Map! 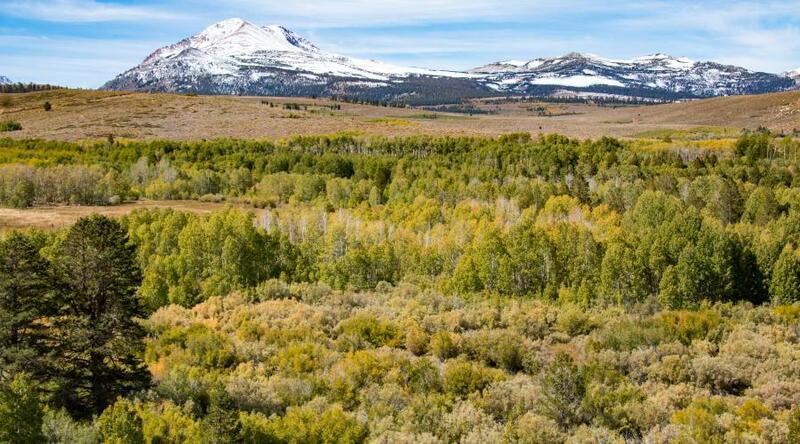 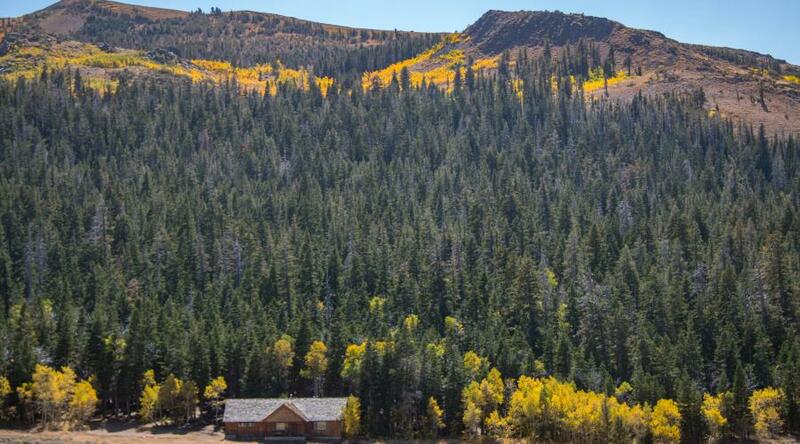 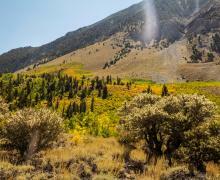 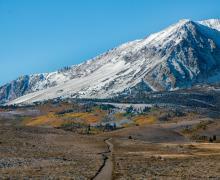 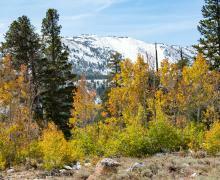 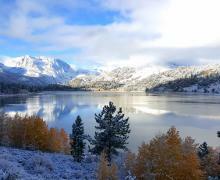 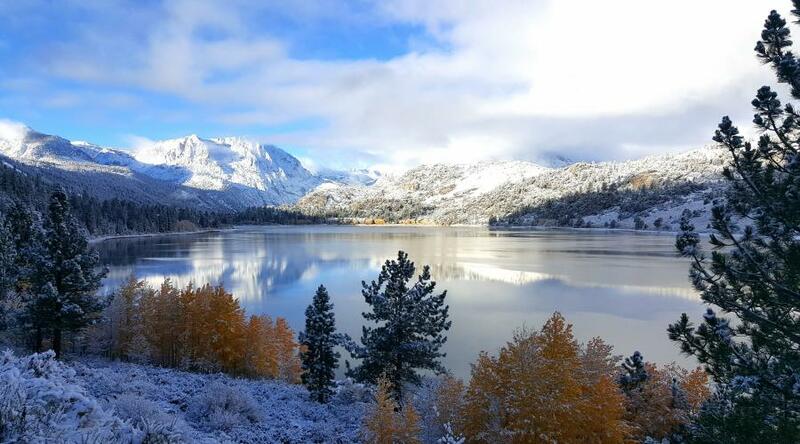 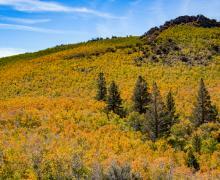 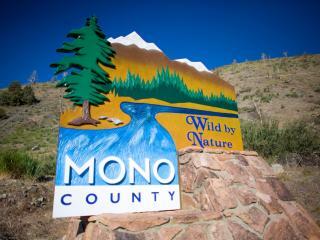 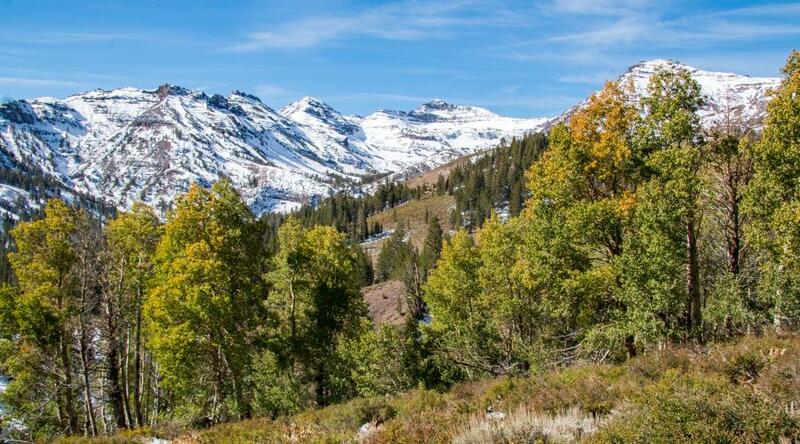 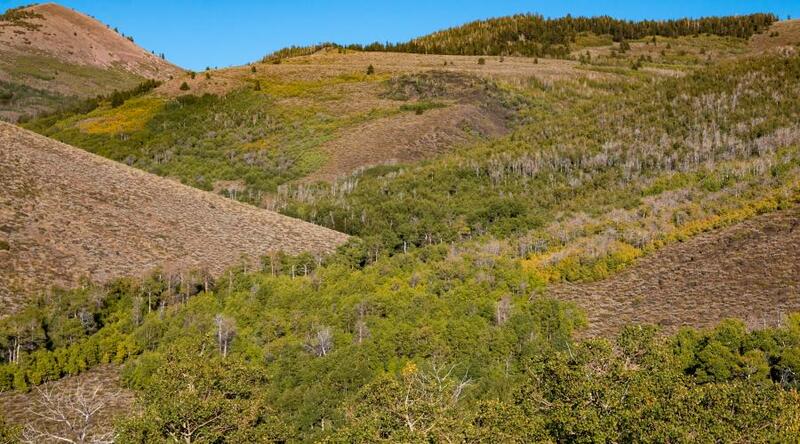 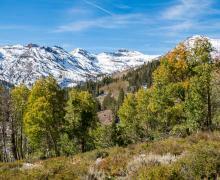 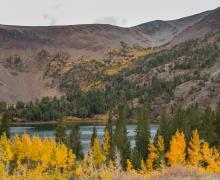 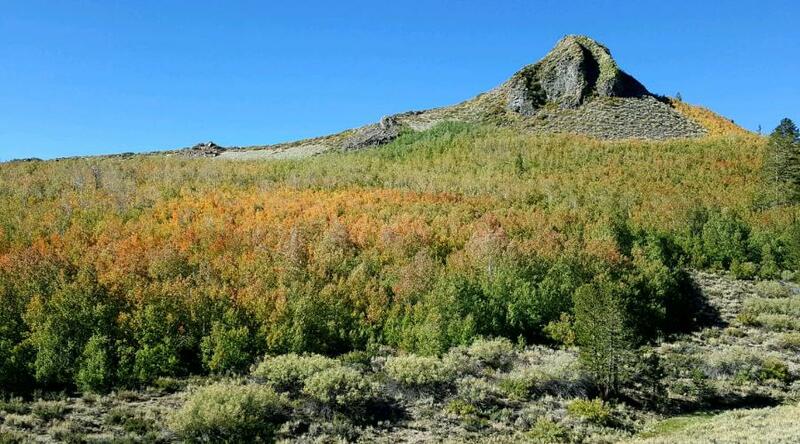 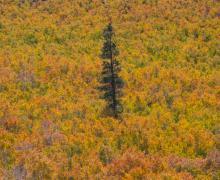 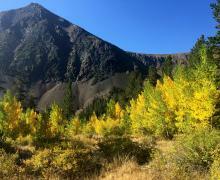 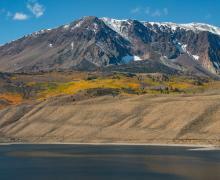 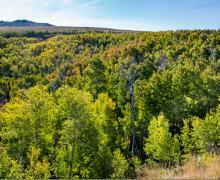 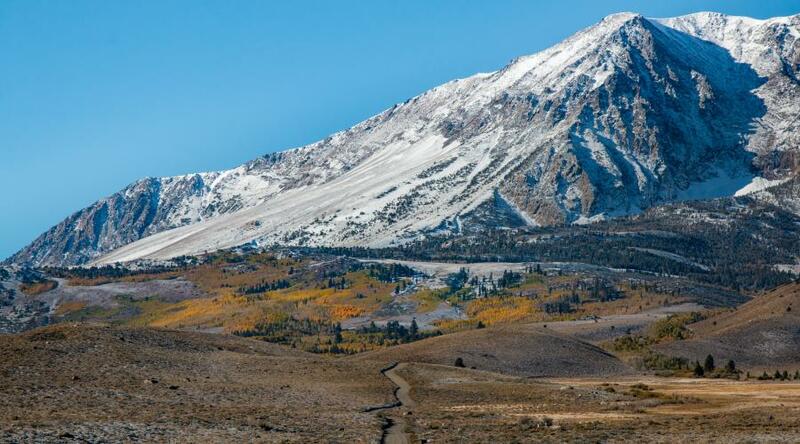 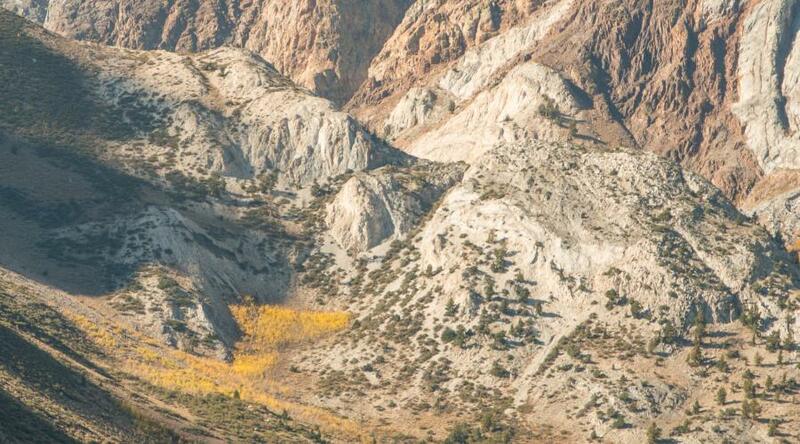 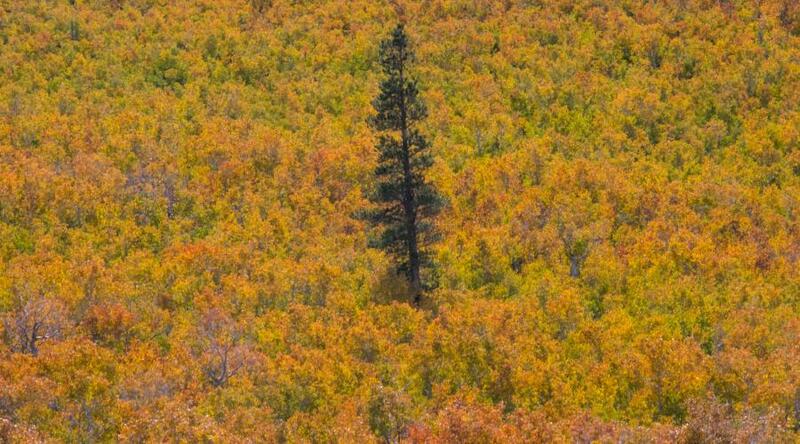 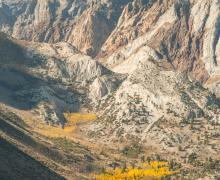 November 8, 2018: Fall colors are officially past peak in Mono County! 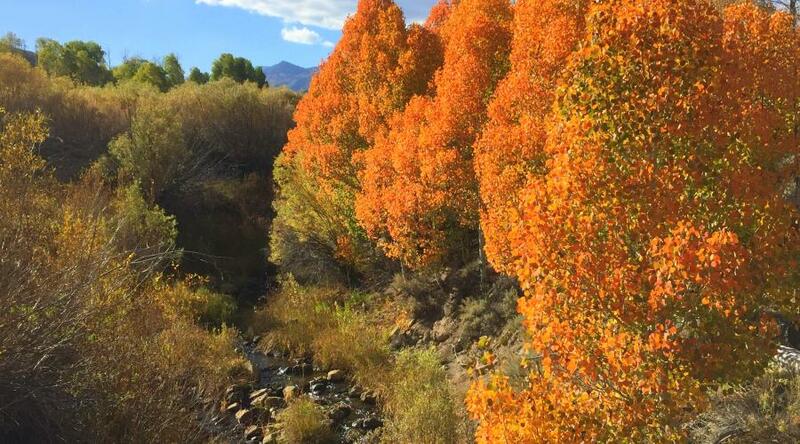 Missed the colors this season? 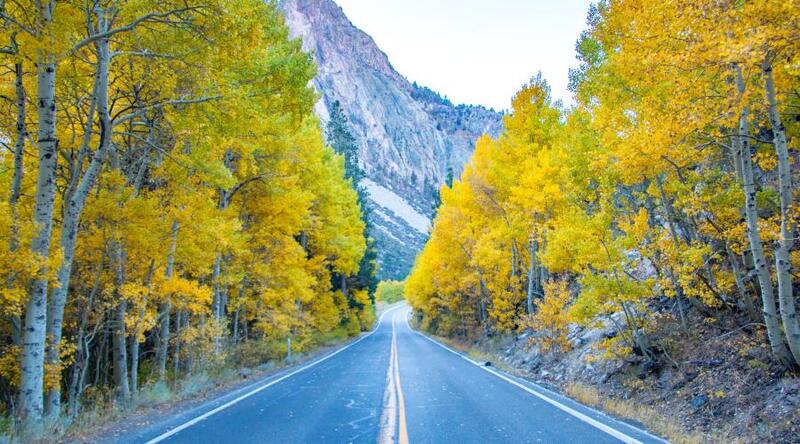 Plan your trip for next year for late September through the end of October. 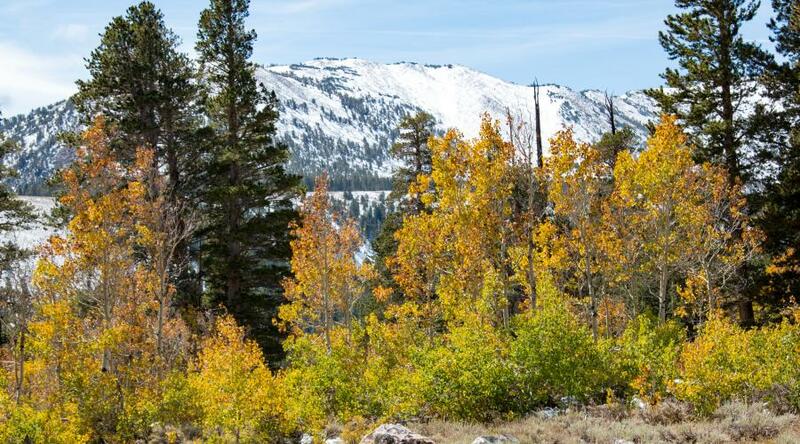 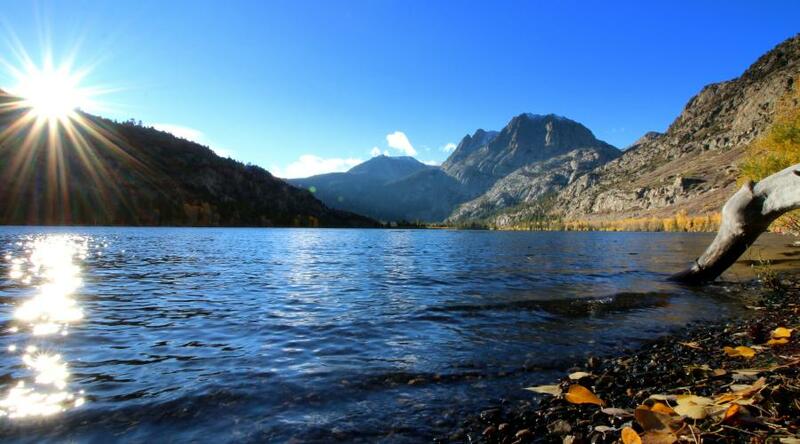 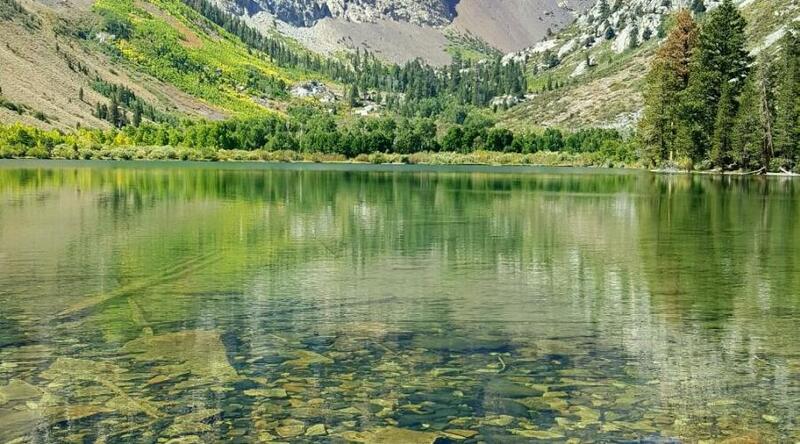 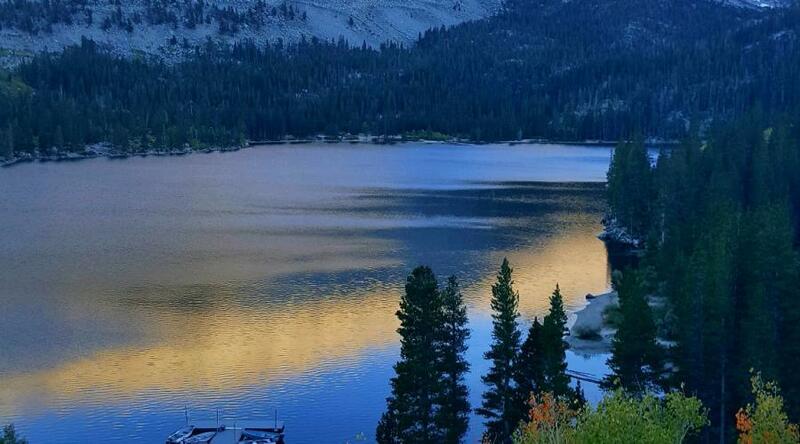 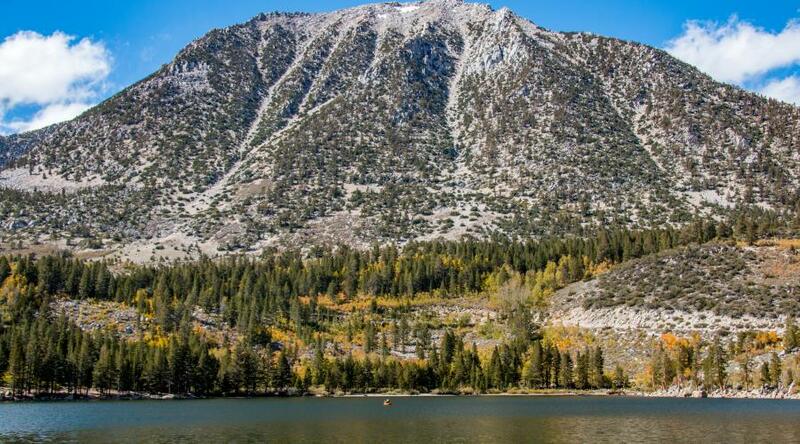 Follow Visit Mammoth on Instagram and Facebook for more! 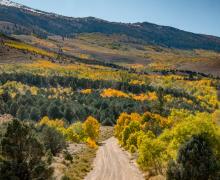 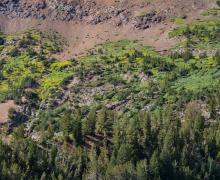 Pictured above: Sage Hen Summit Rd.